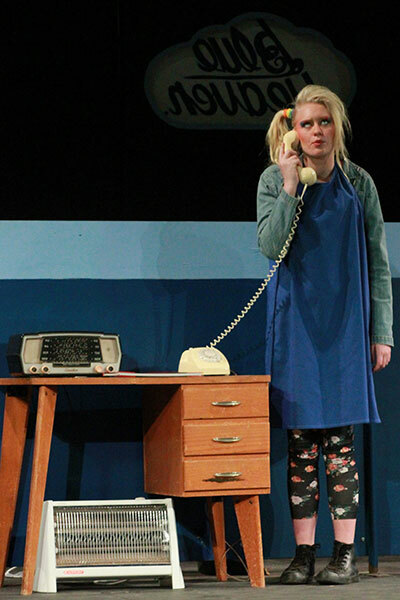 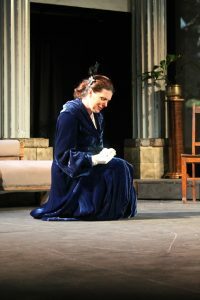 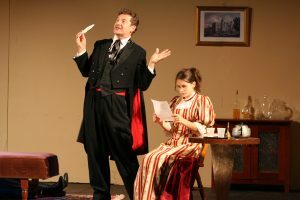 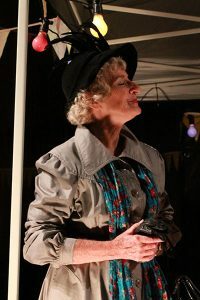 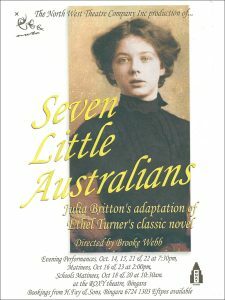 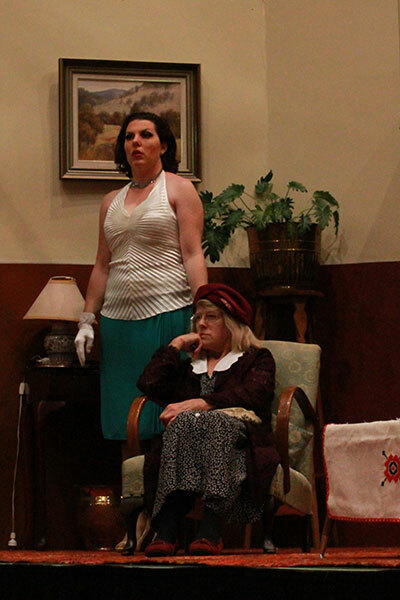 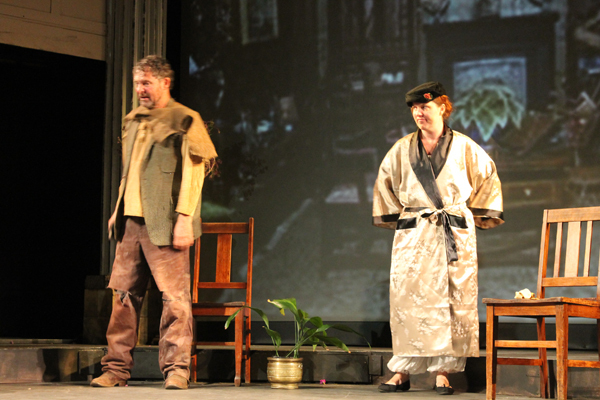 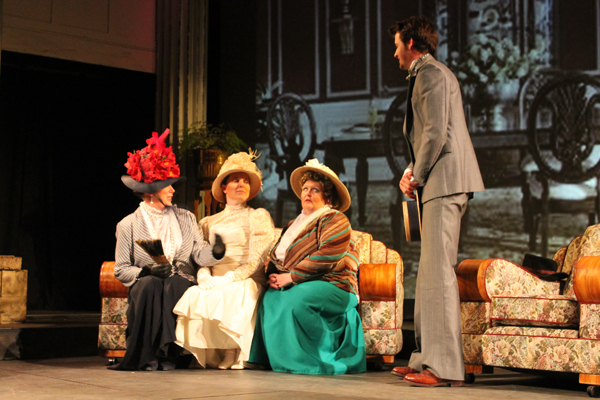 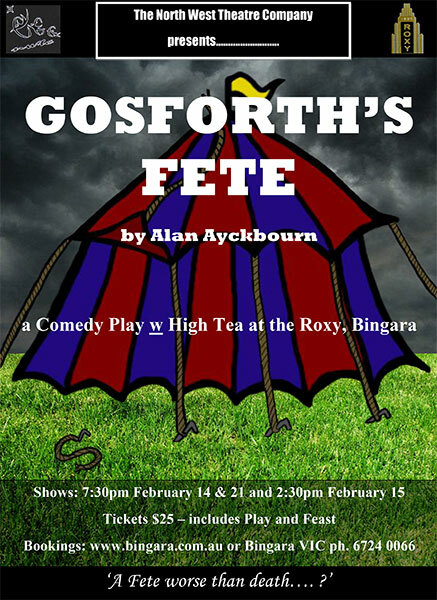 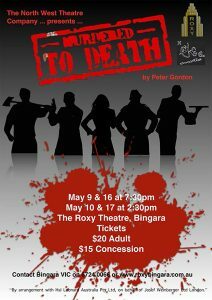 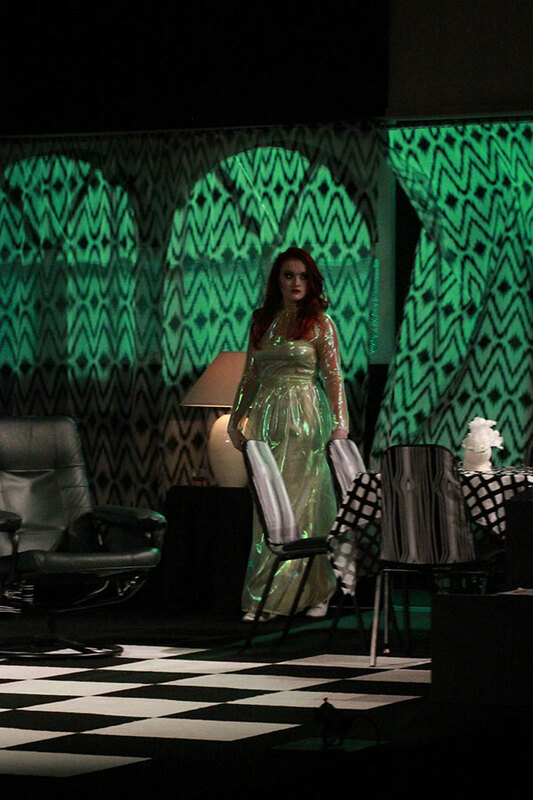 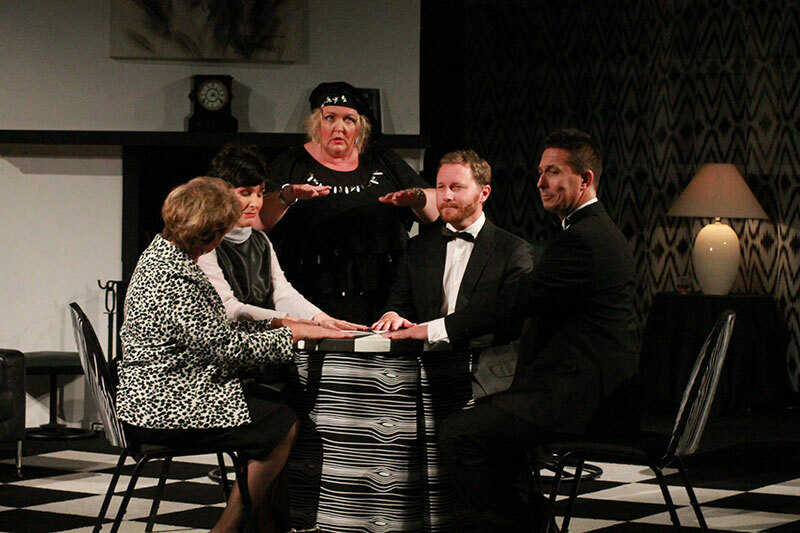 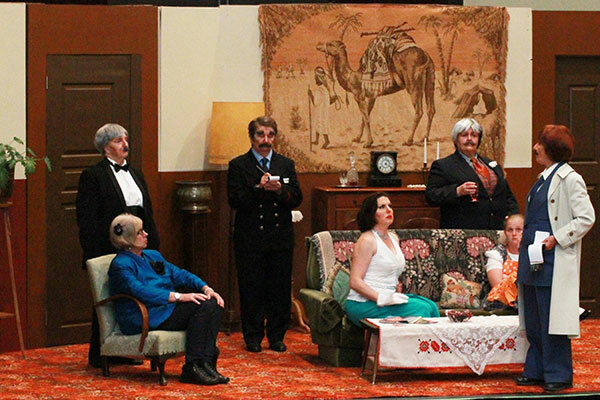 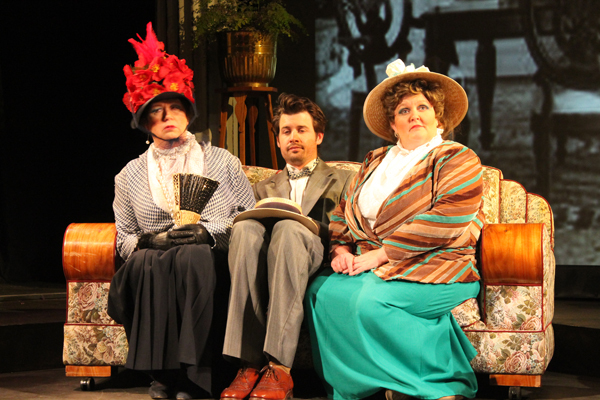 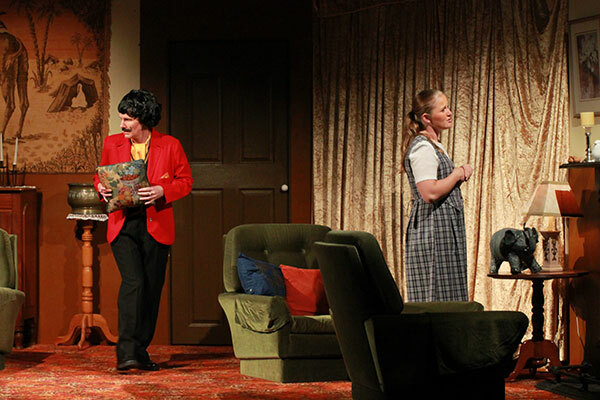 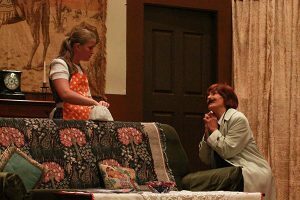 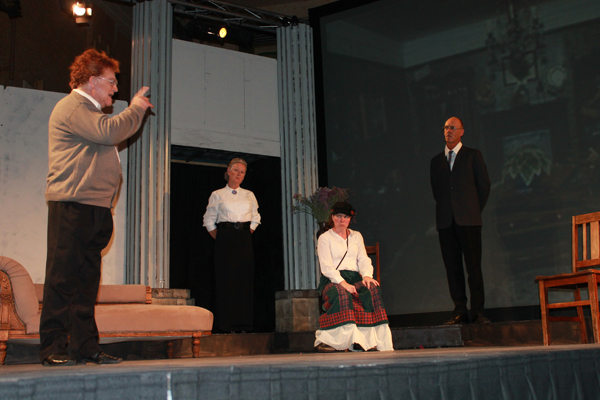 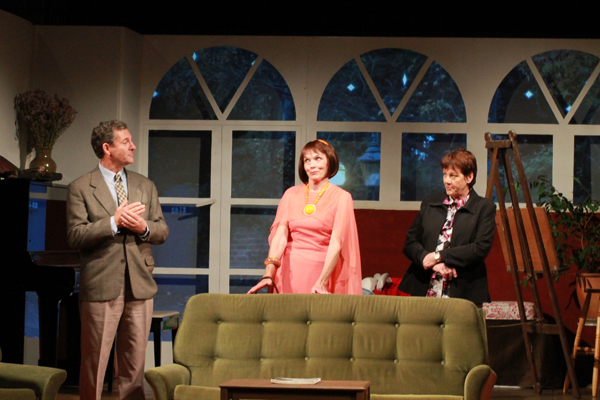 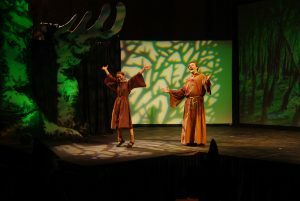 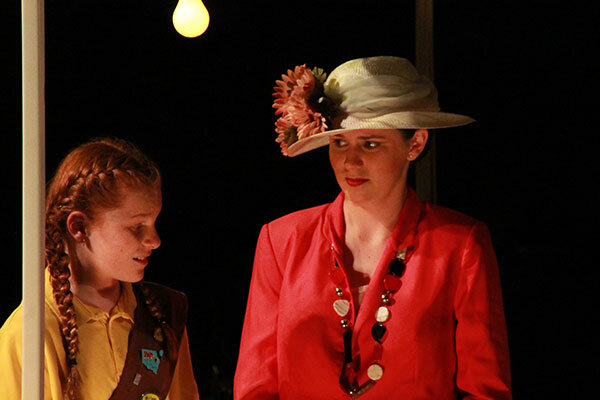 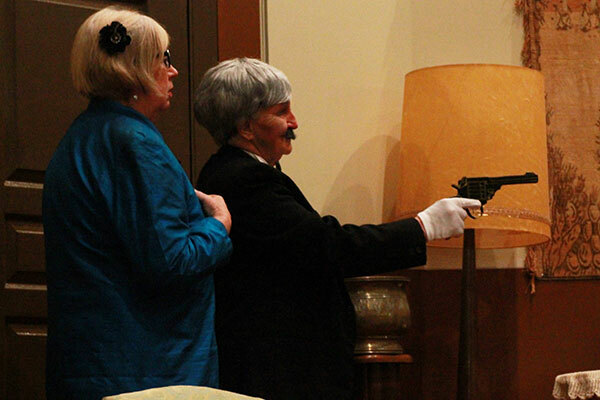 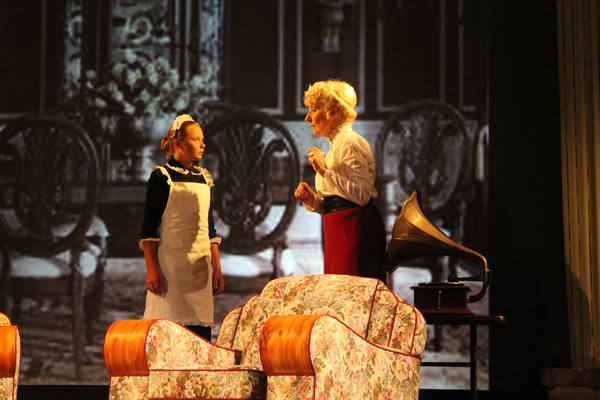 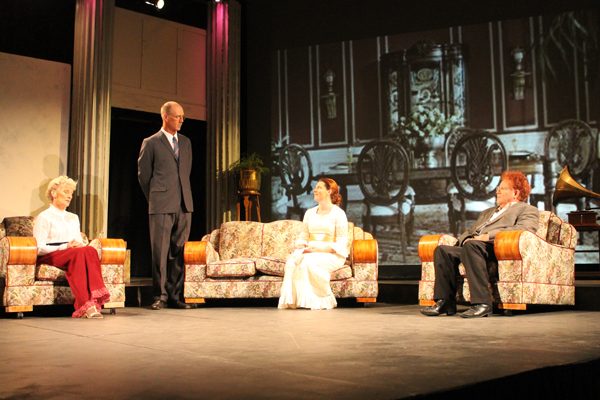 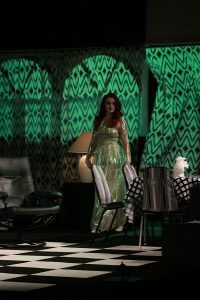 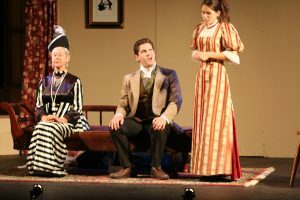 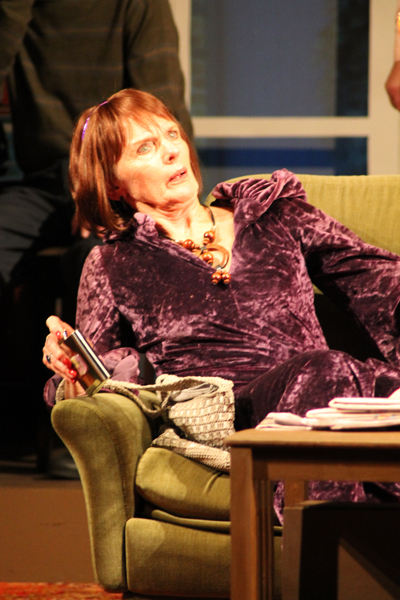 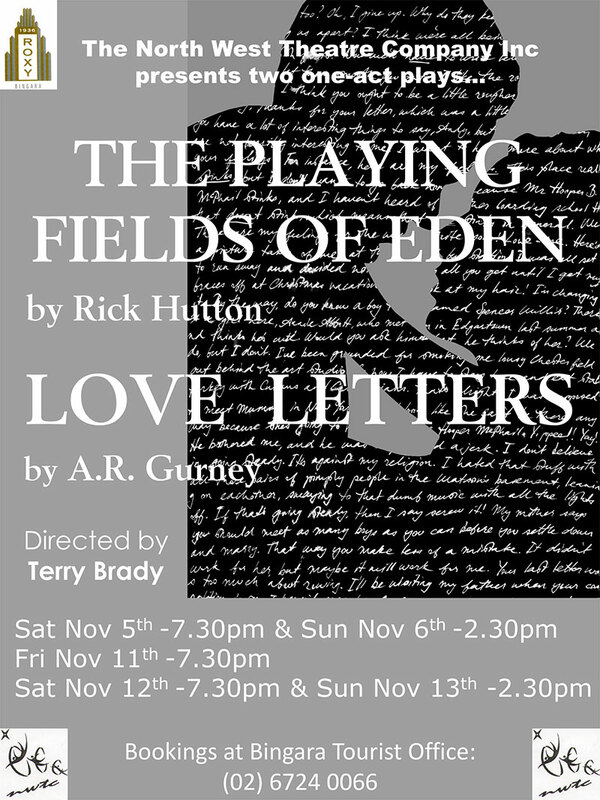 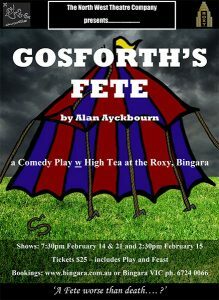 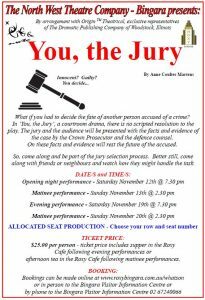 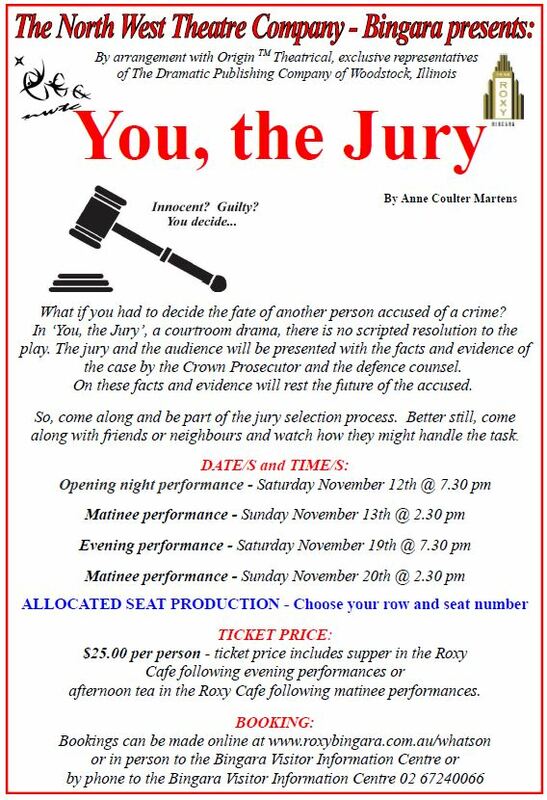 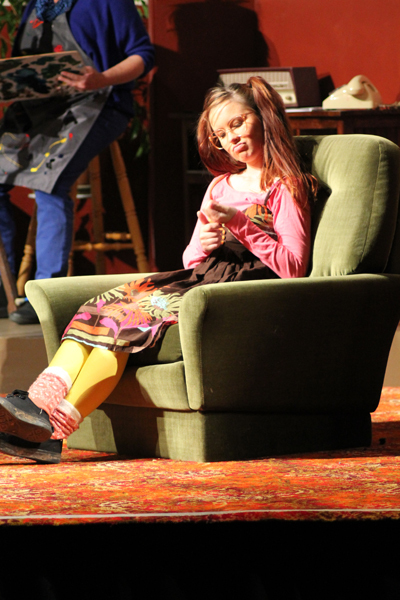 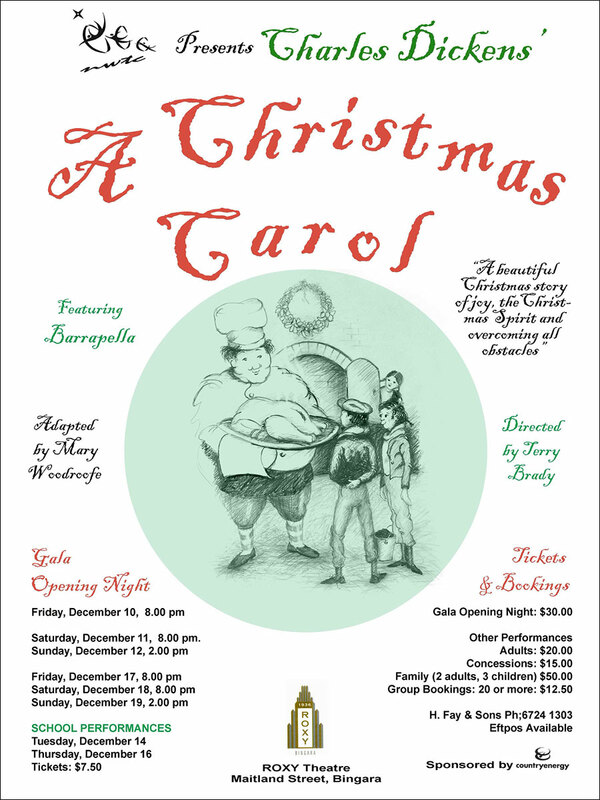 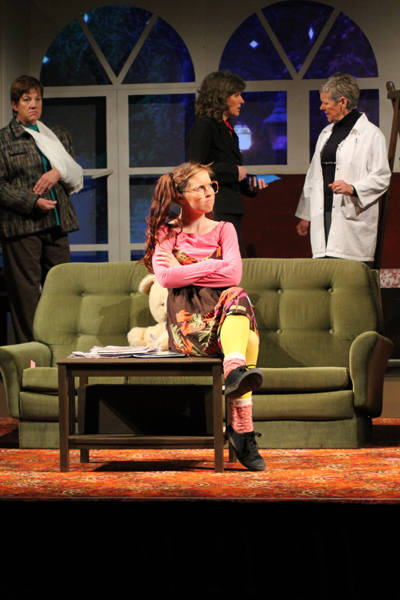 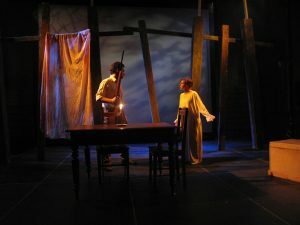 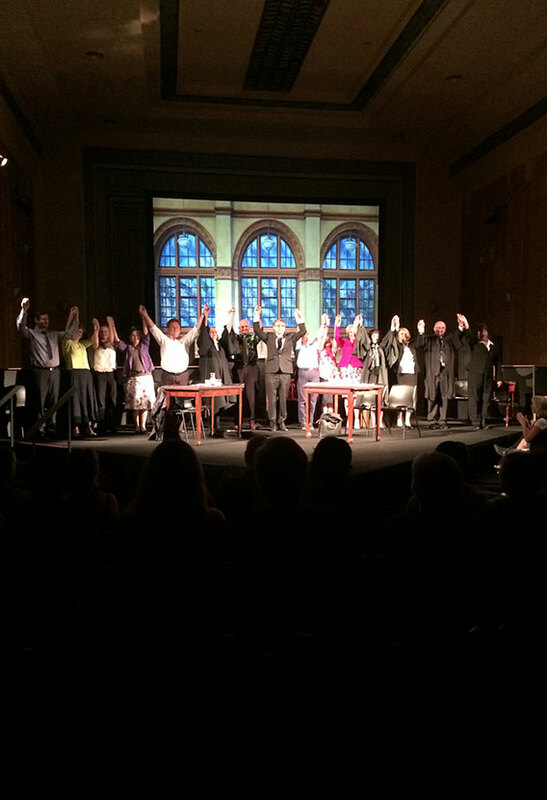 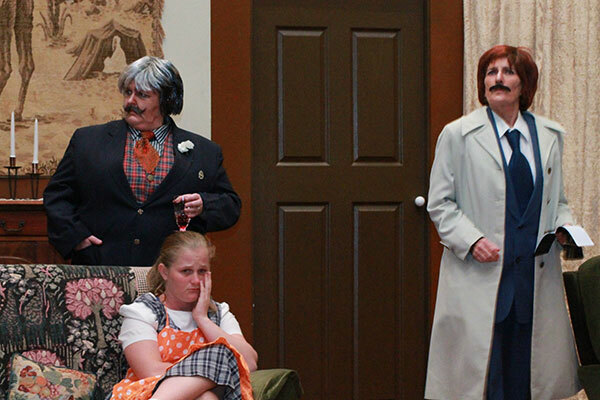 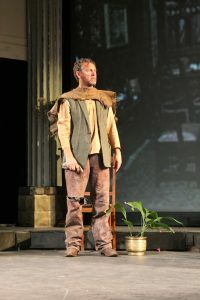 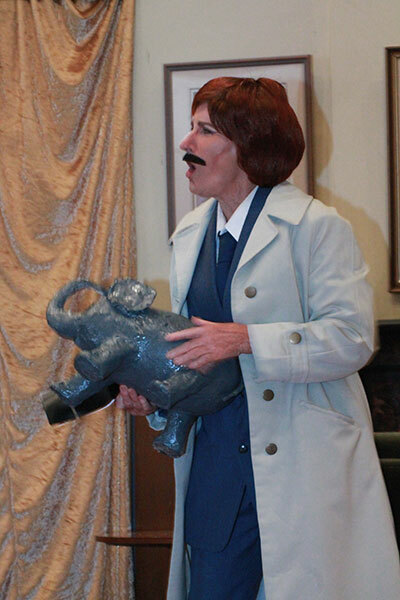 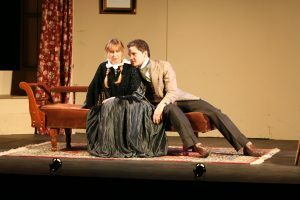 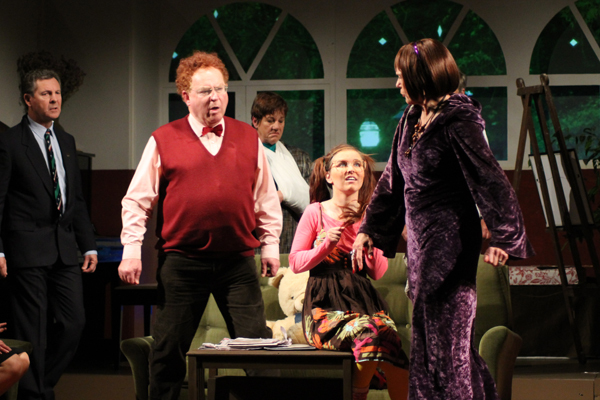 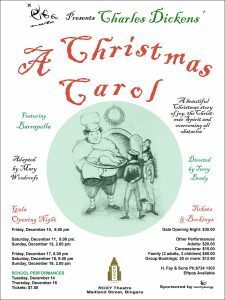 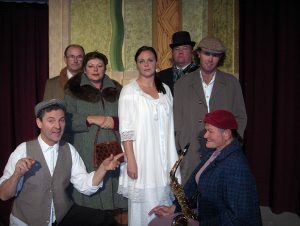 The North West Theatre Company Inc. 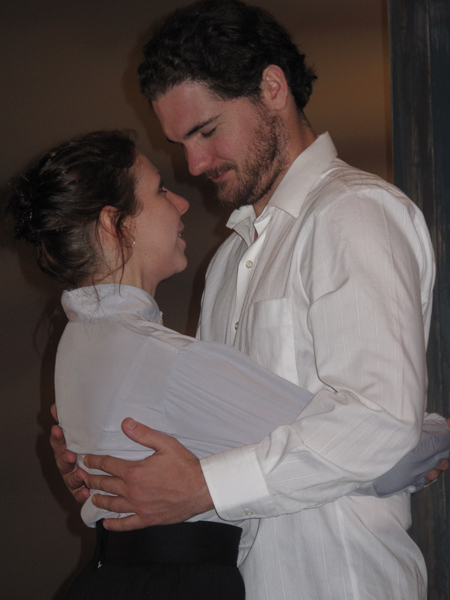 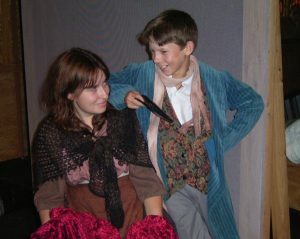 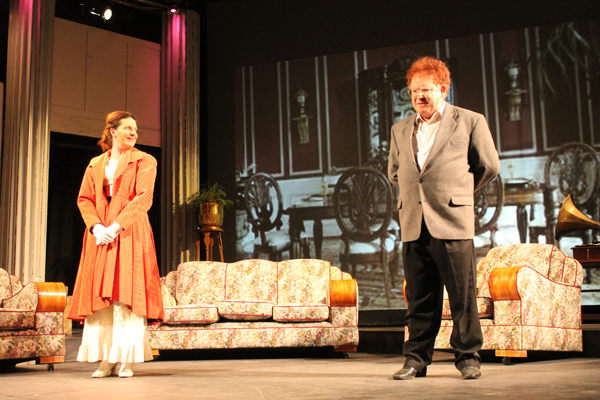 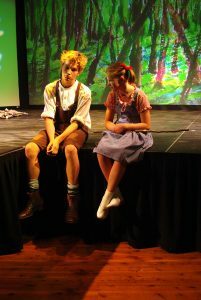 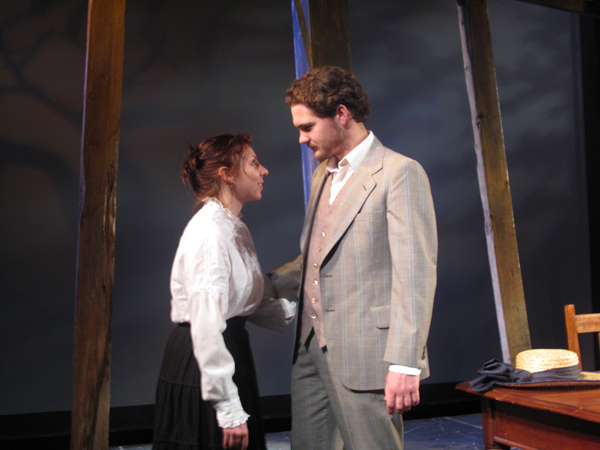 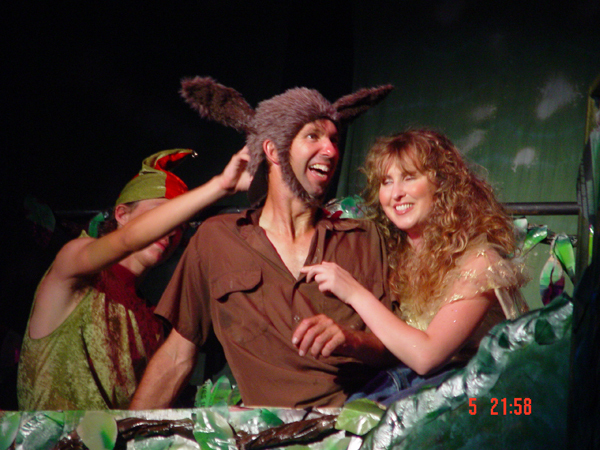 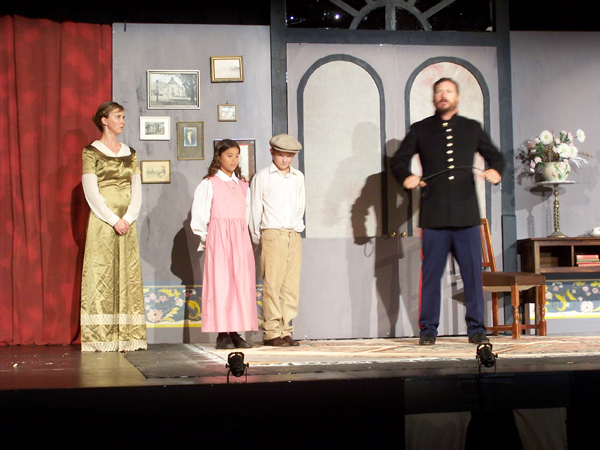 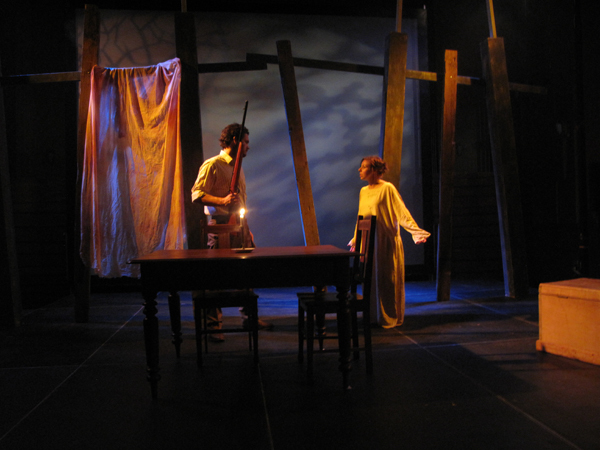 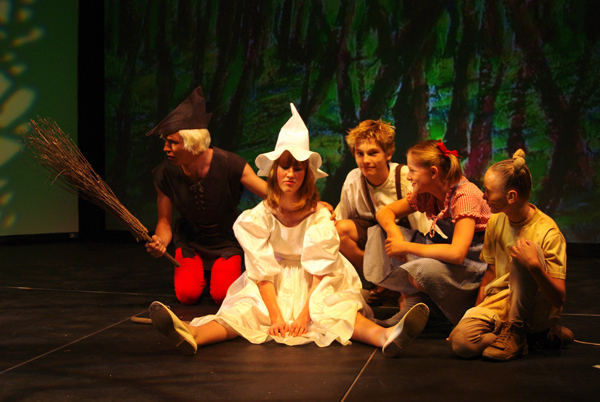 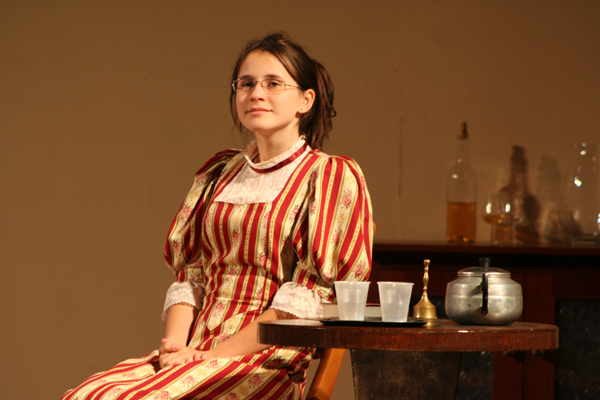 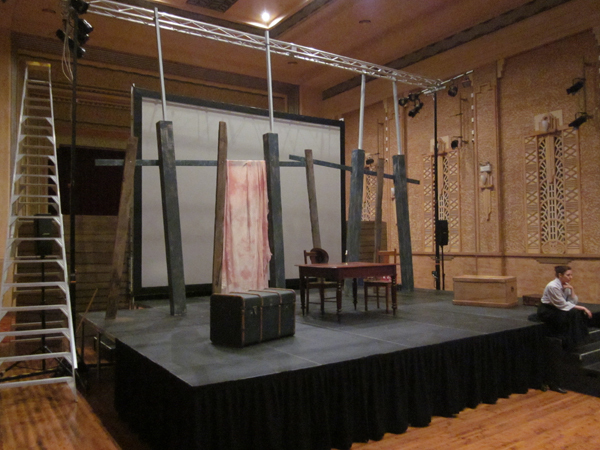 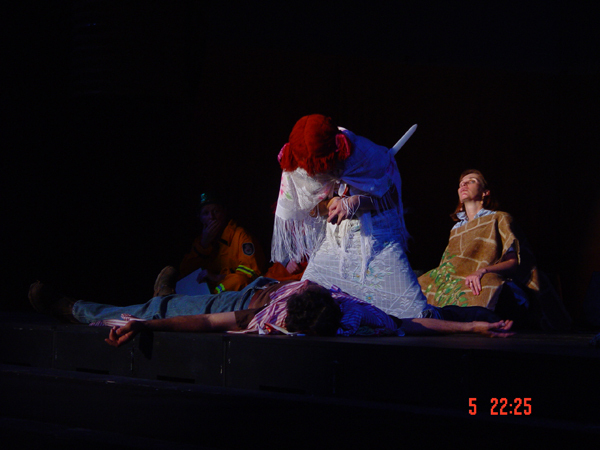 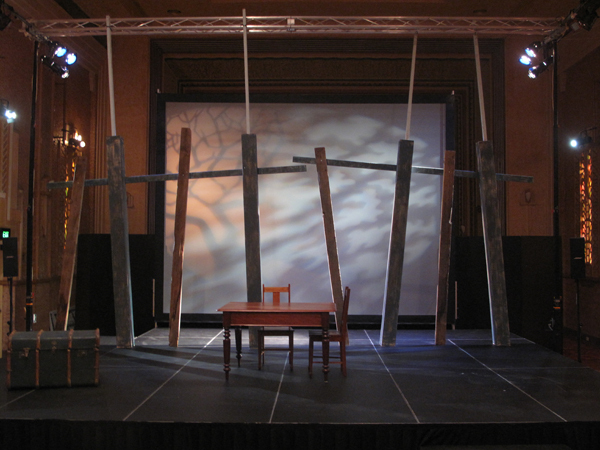 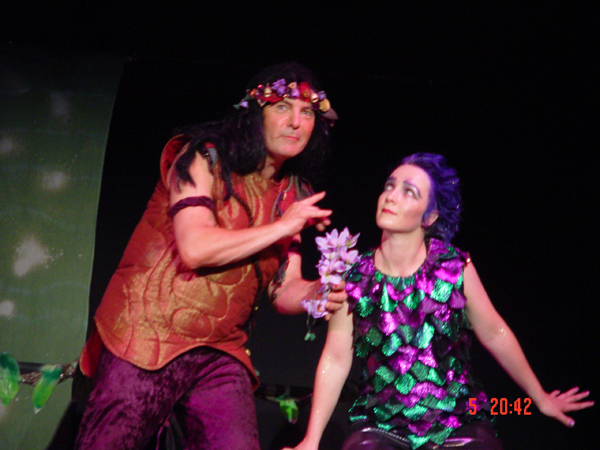 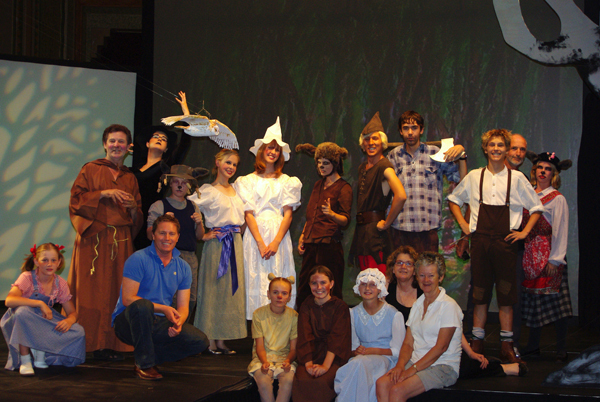 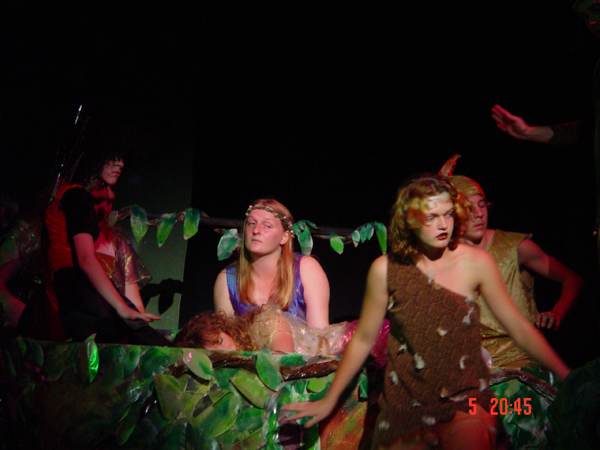 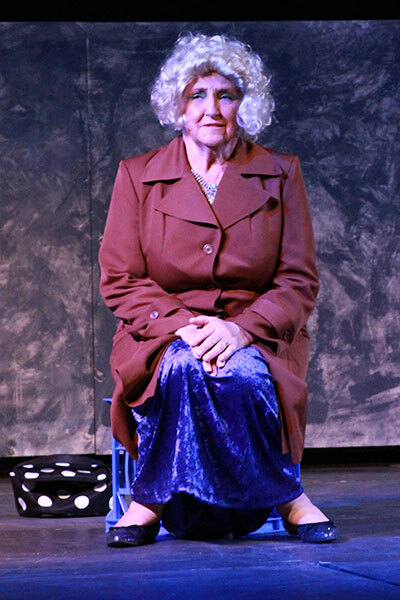 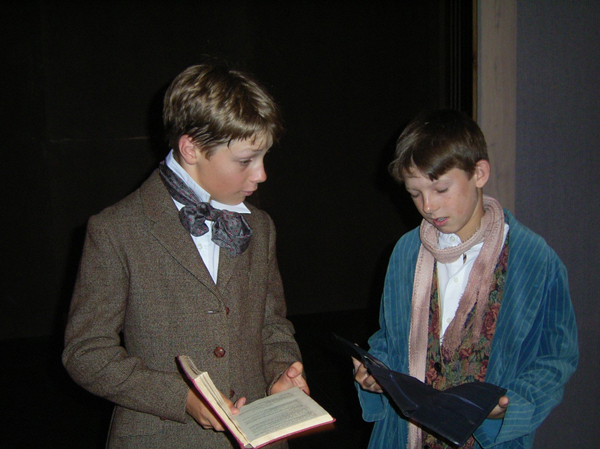 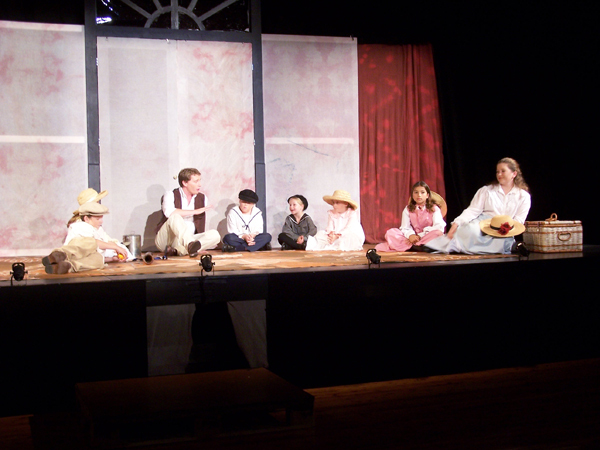 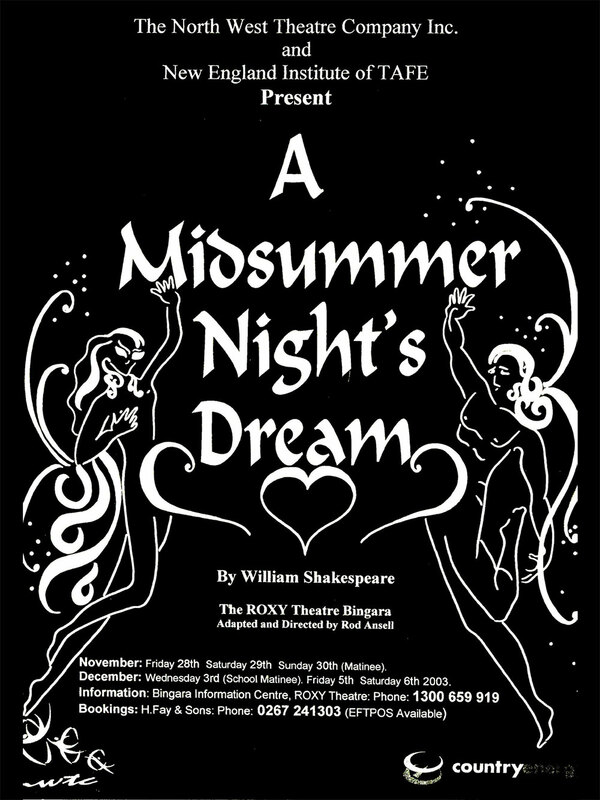 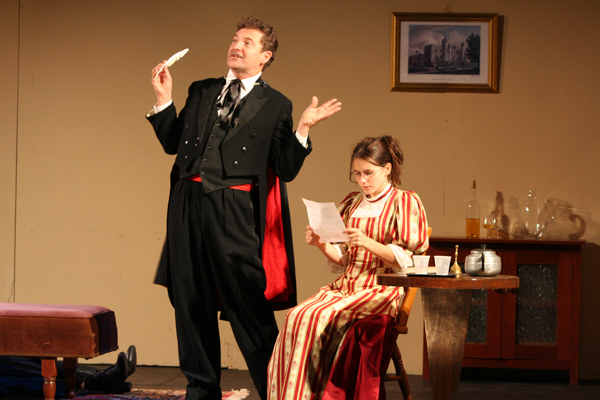 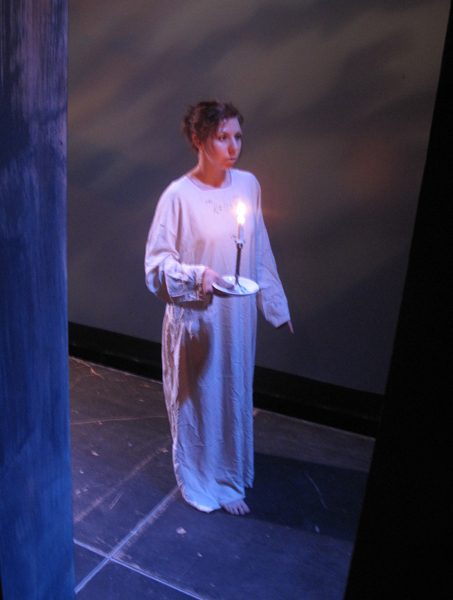 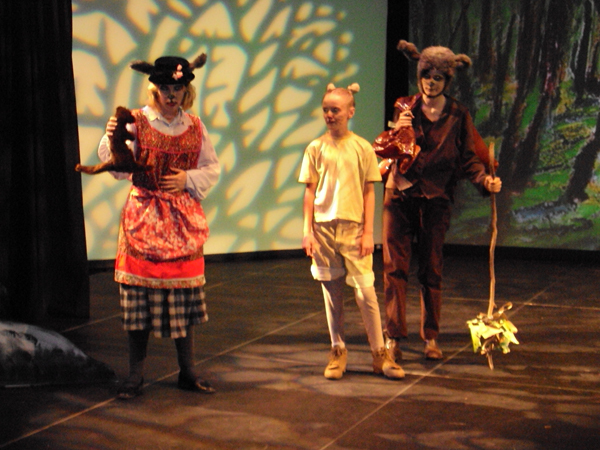 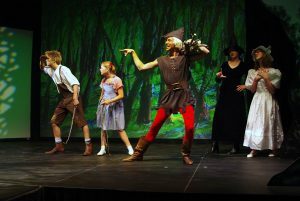 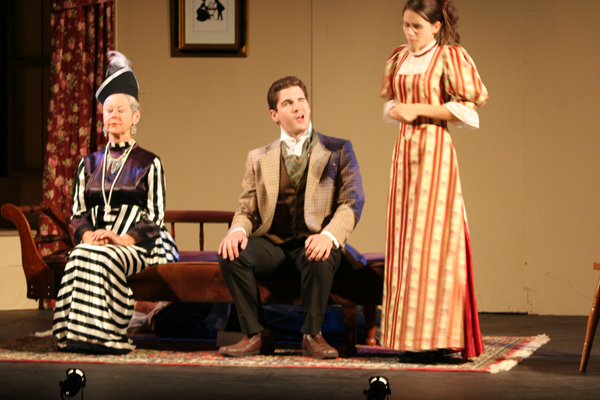 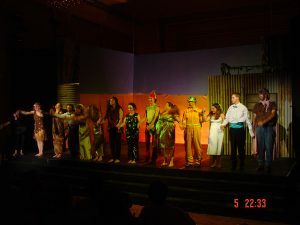 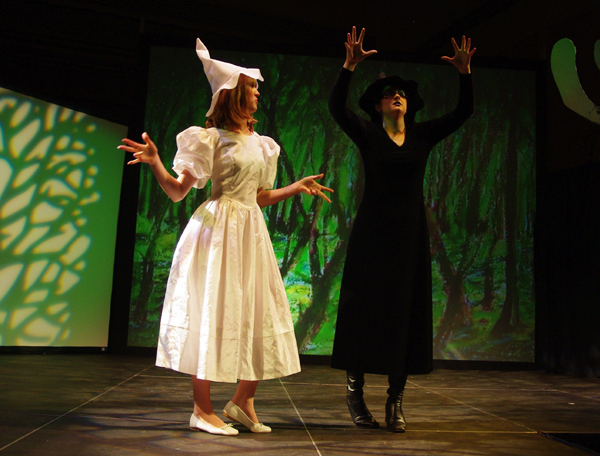 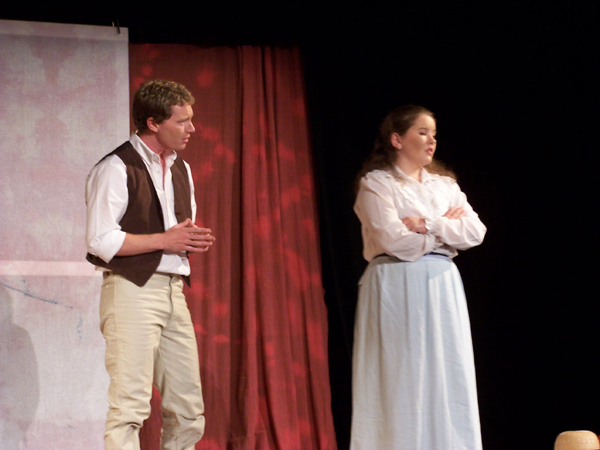 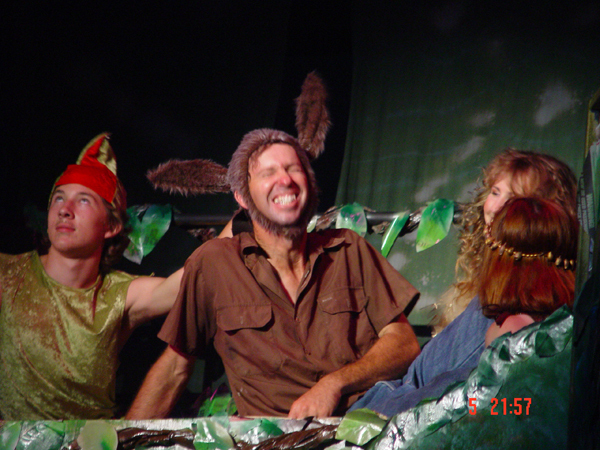 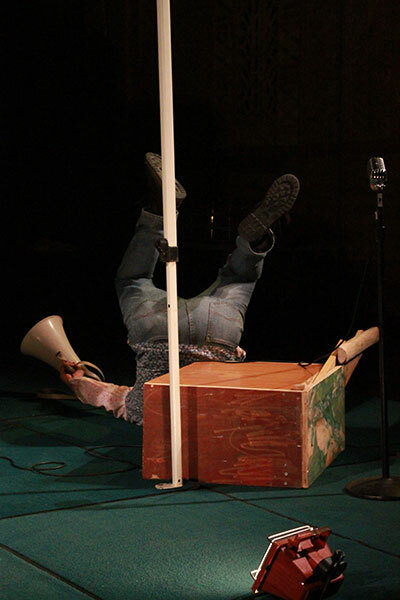 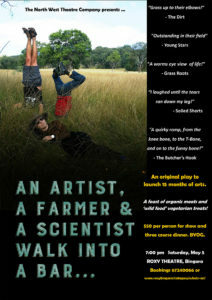 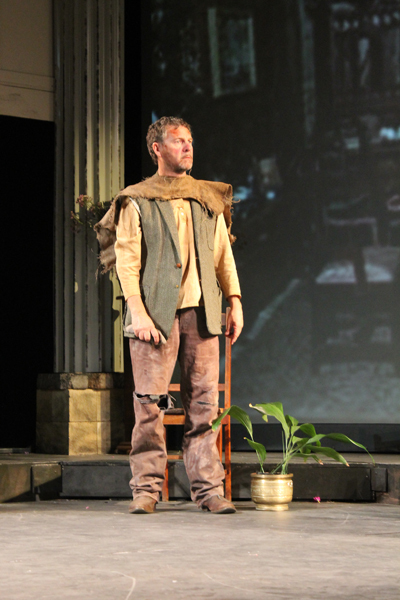 The North West Theatre Company Inc. was founded in November 2002. 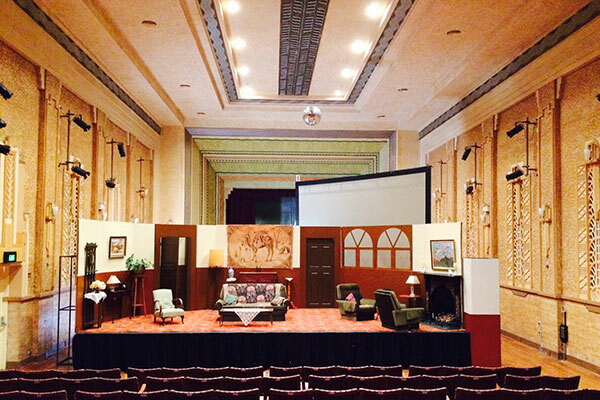 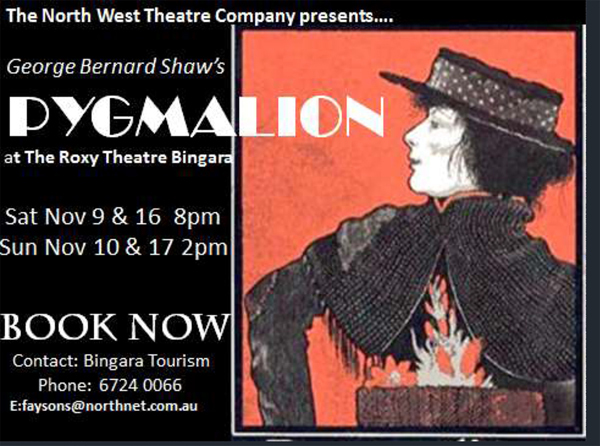 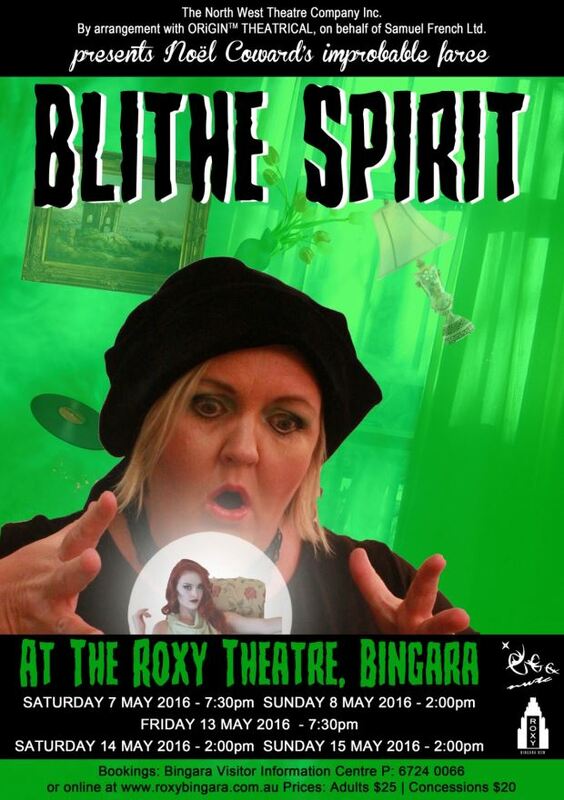 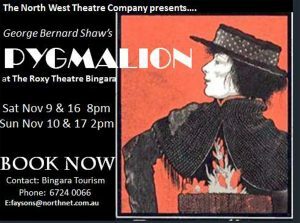 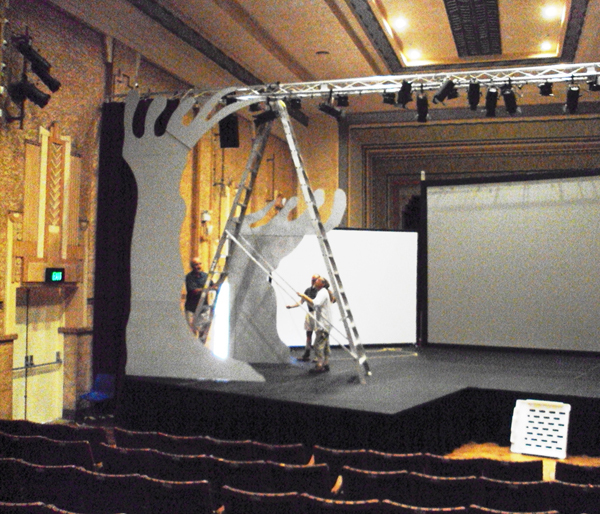 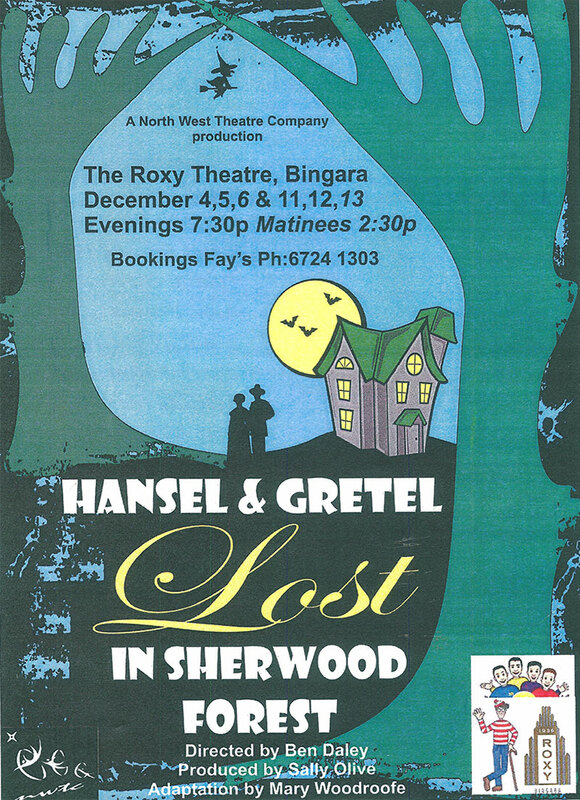 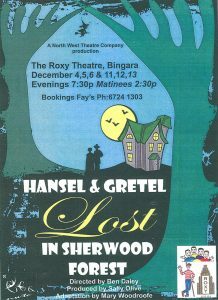 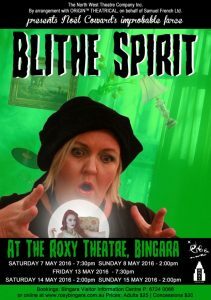 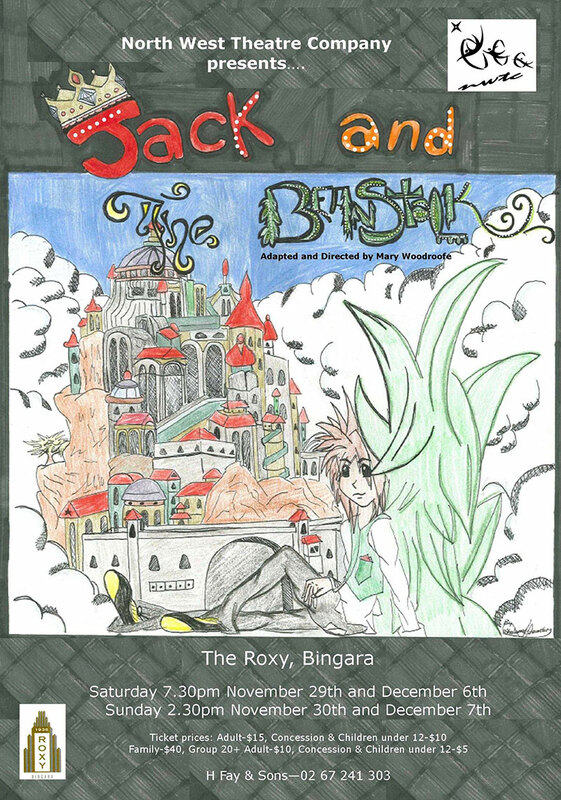 The Company’s development paralleled the restoration of Bingara’s Art Deco Roxy Theatre. 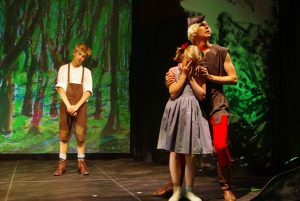 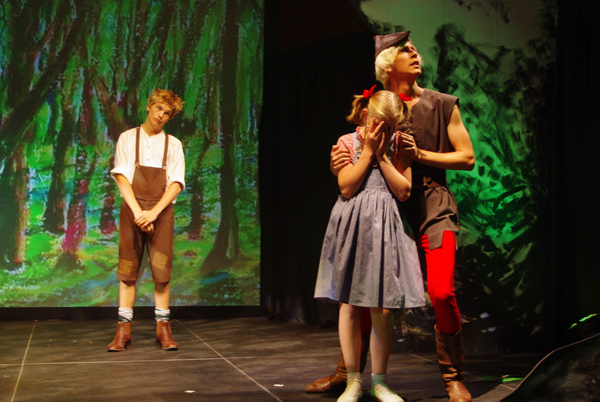 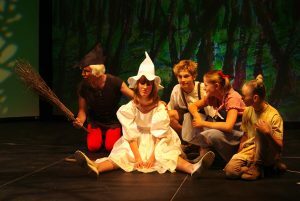 The main objectives of the Company are to provide opportunities for our citizens and in particular young people to participate in performing arts as audience, actors or stage crew. 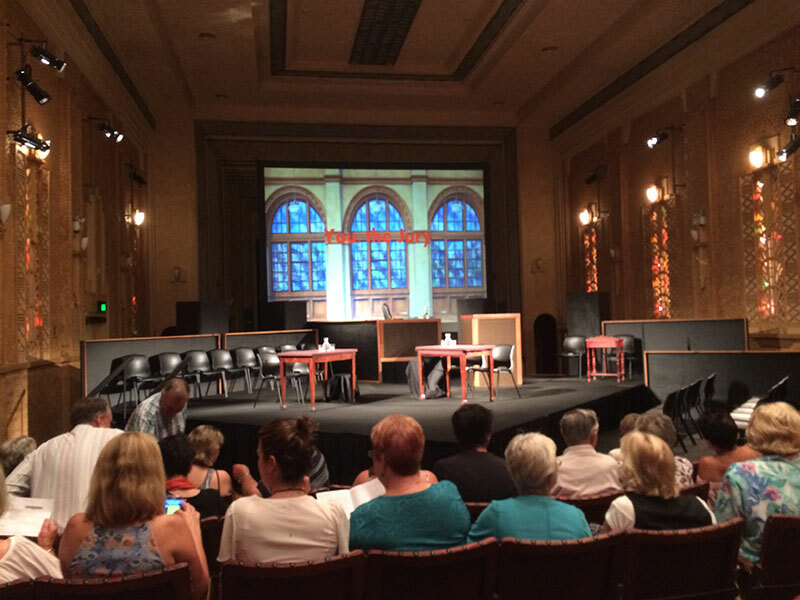 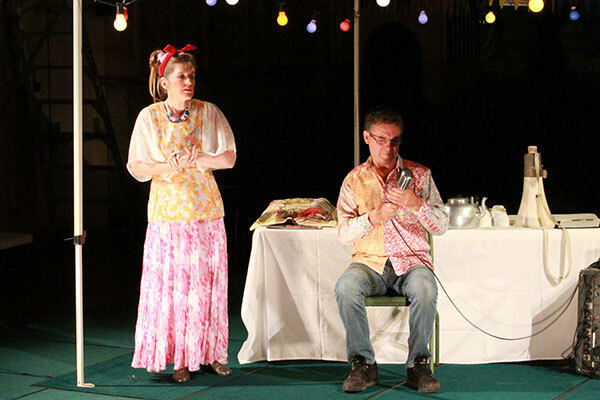 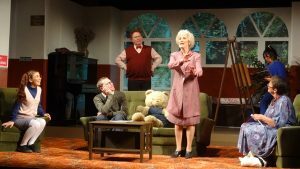 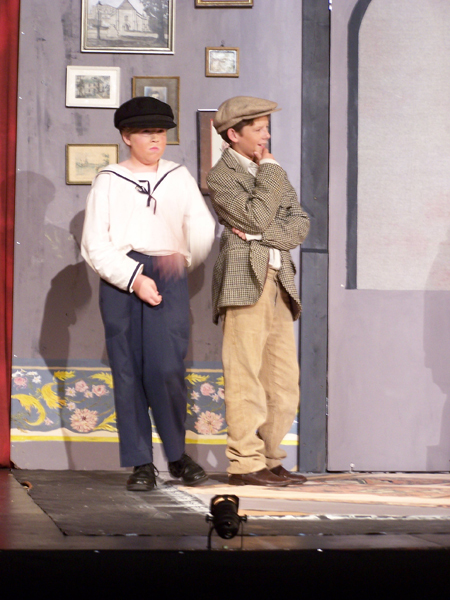 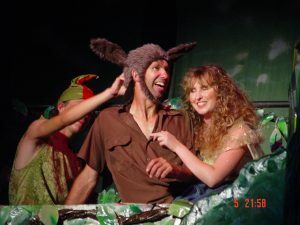 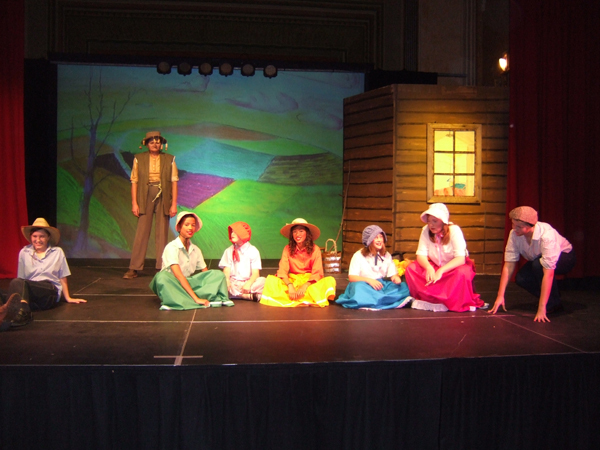 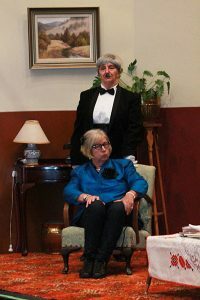 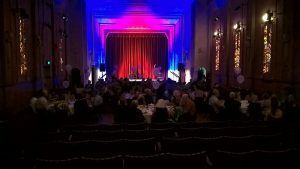 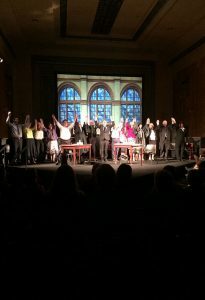 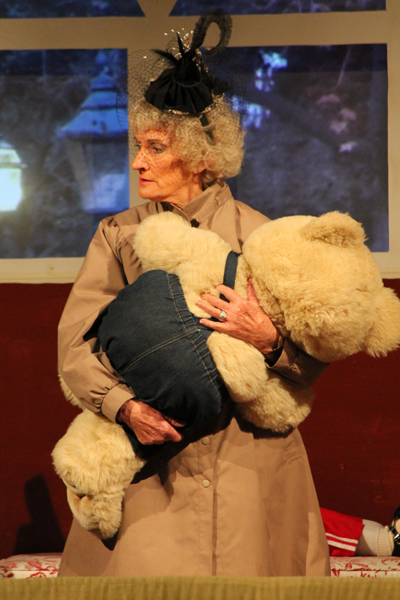 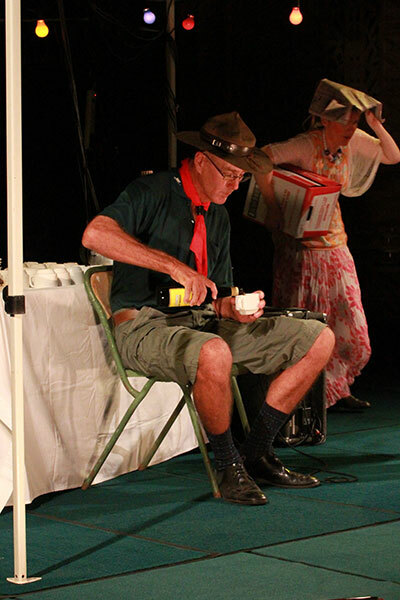 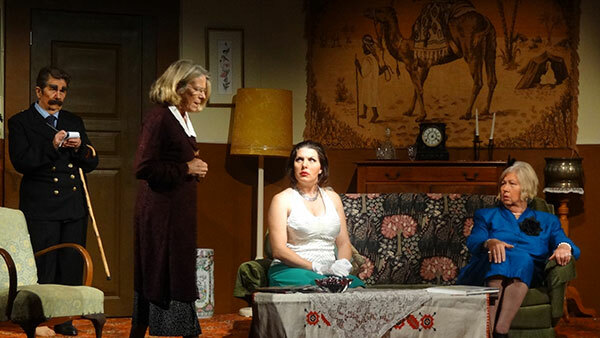 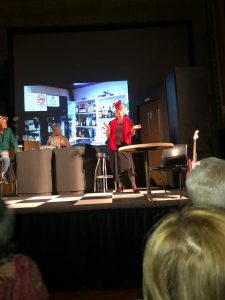 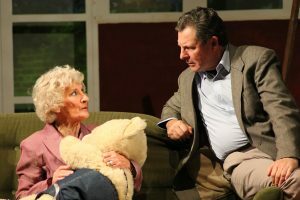 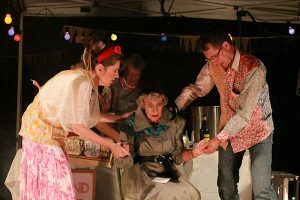 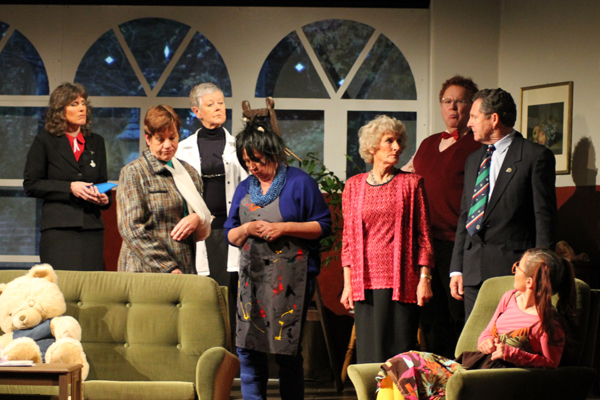 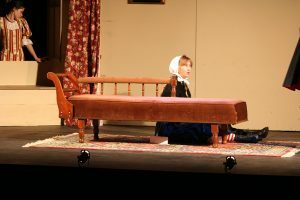 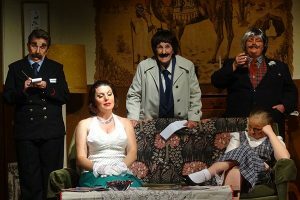 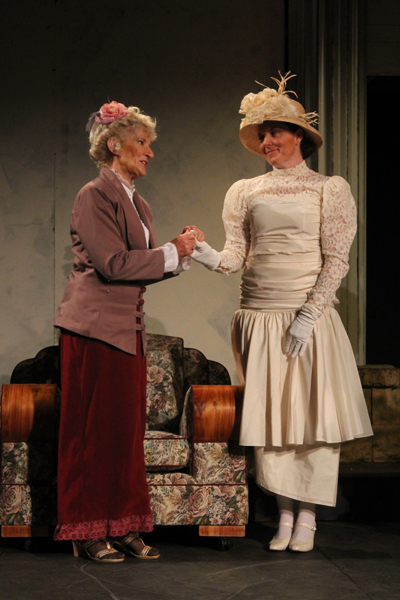 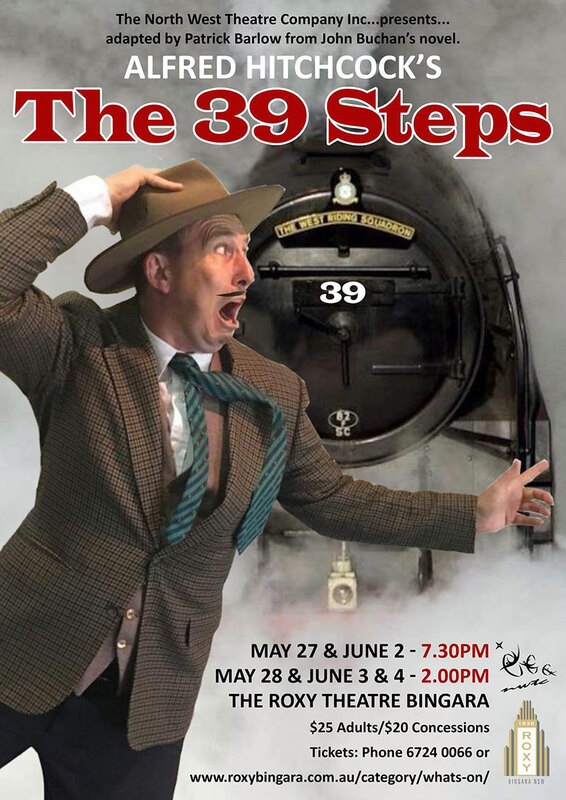 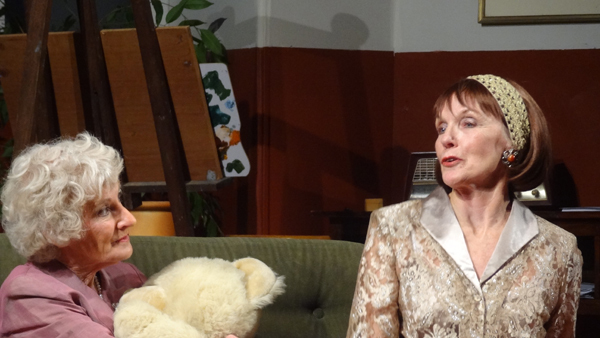 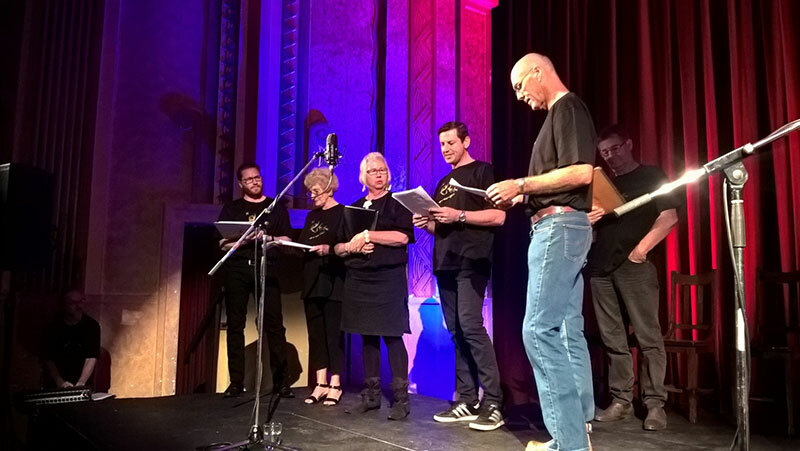 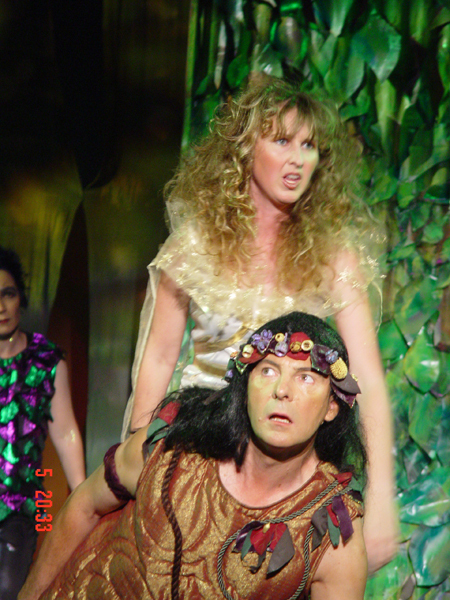 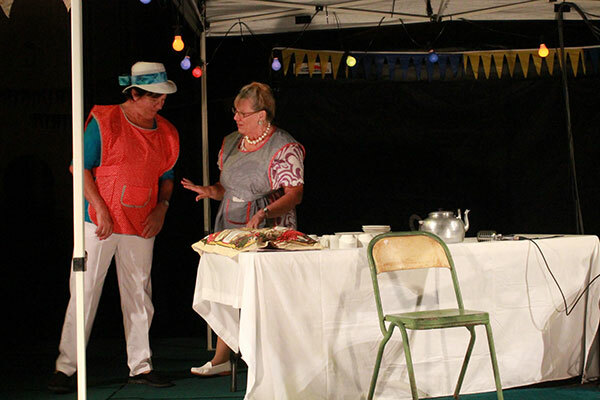 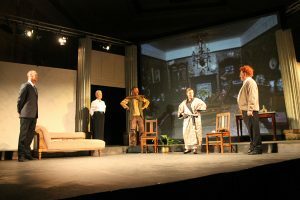 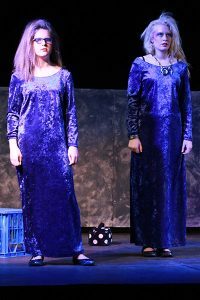 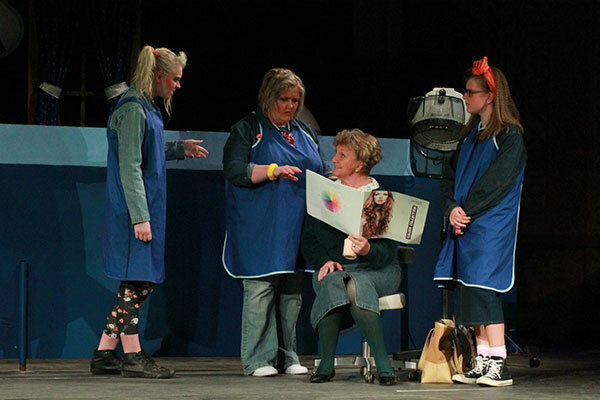 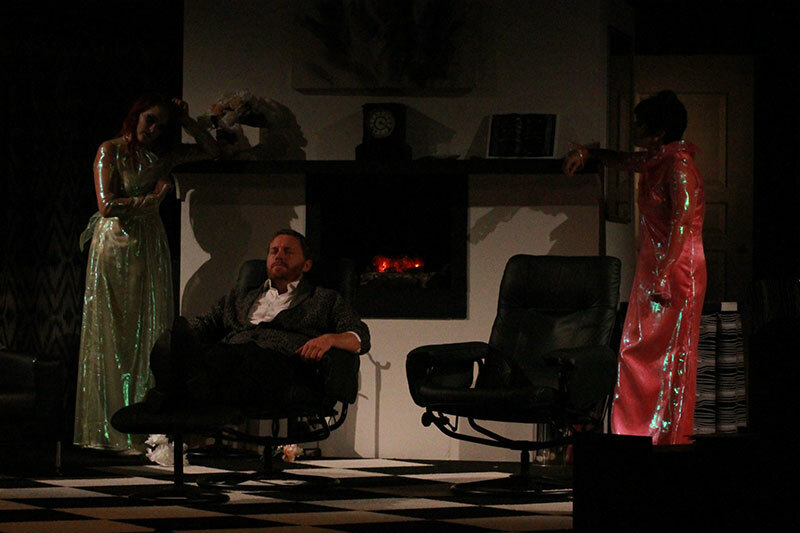 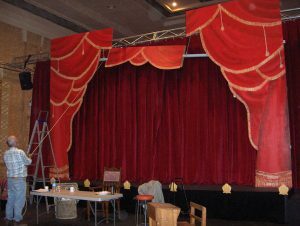 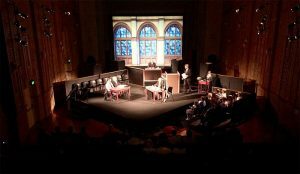 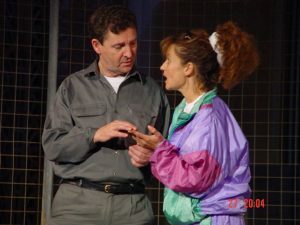 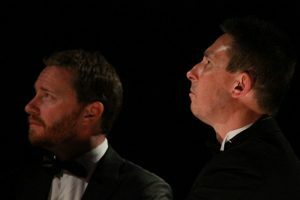 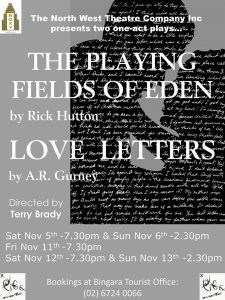 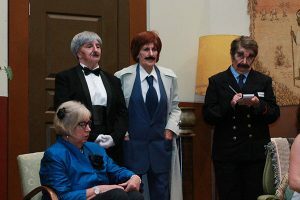 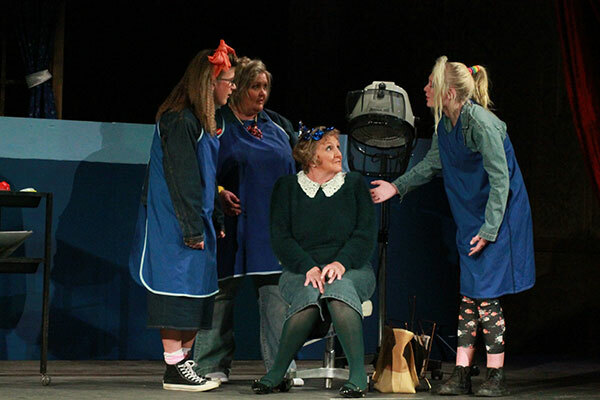 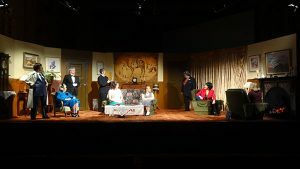 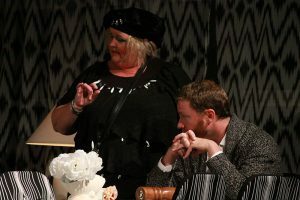 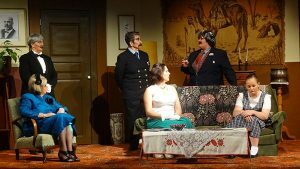 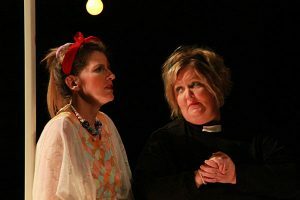 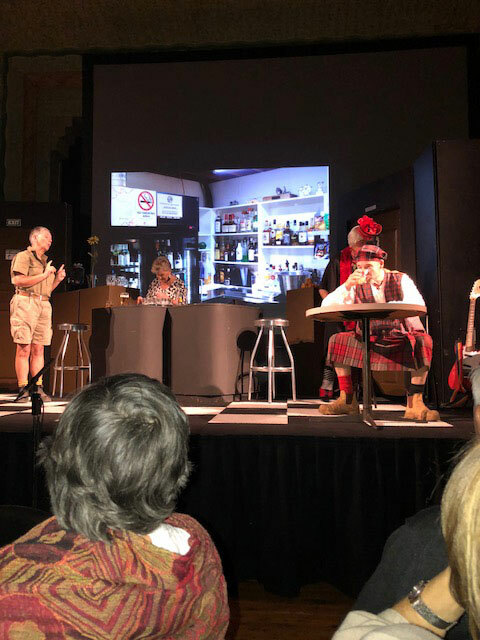 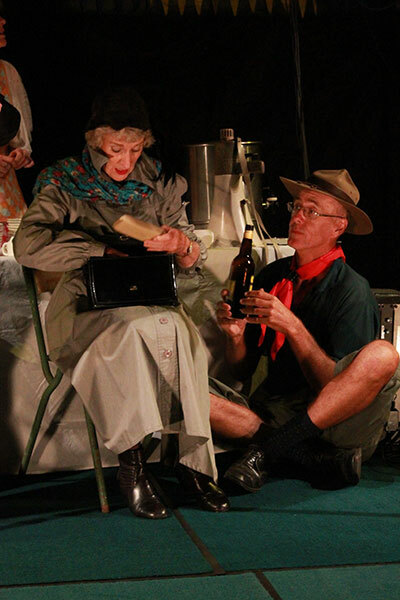 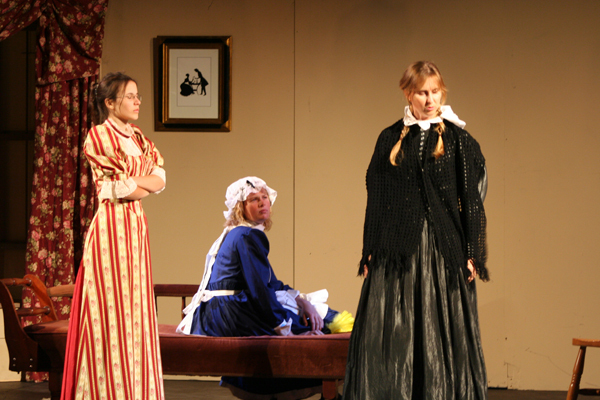 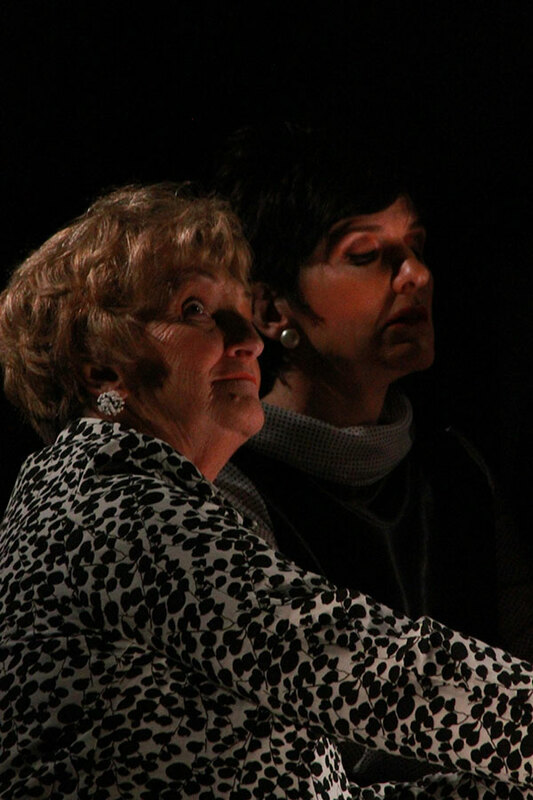 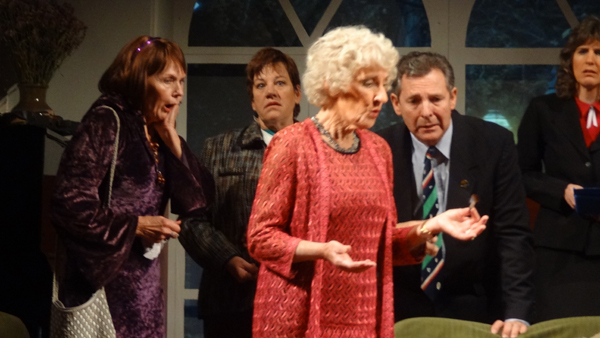 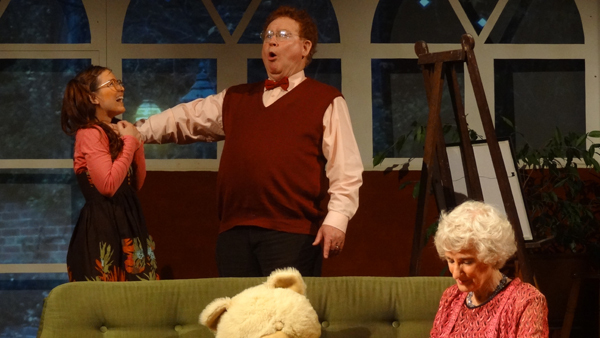 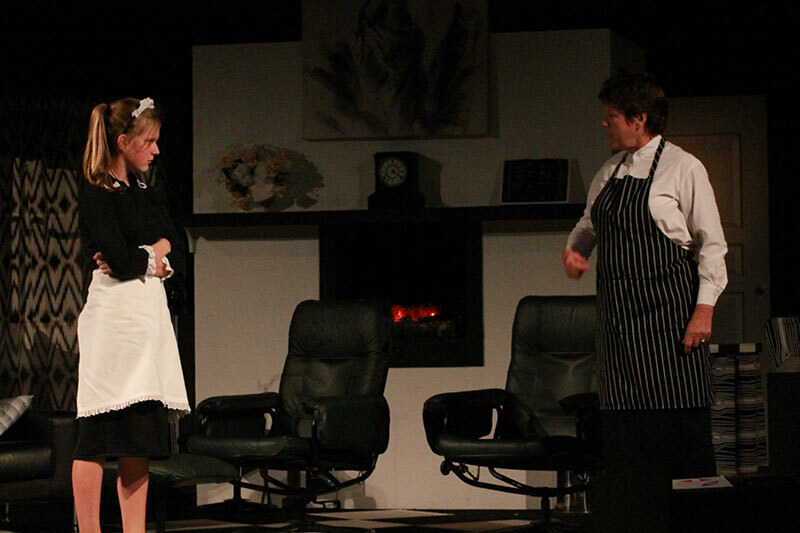 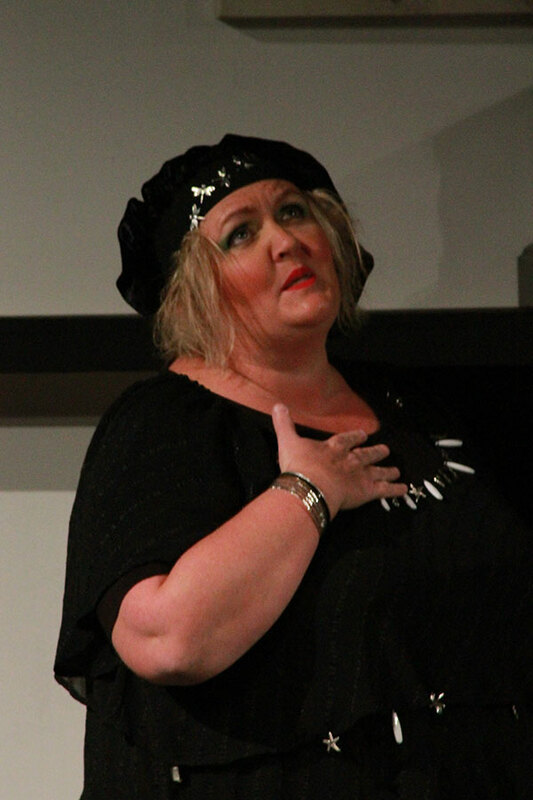 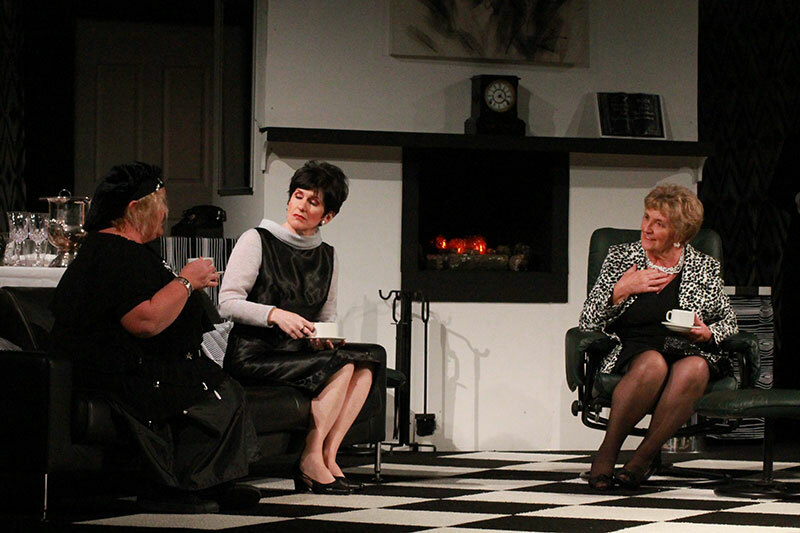 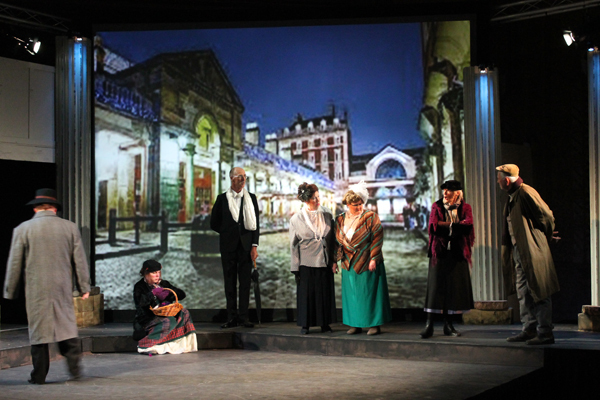 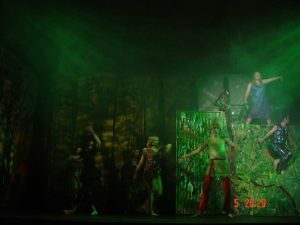 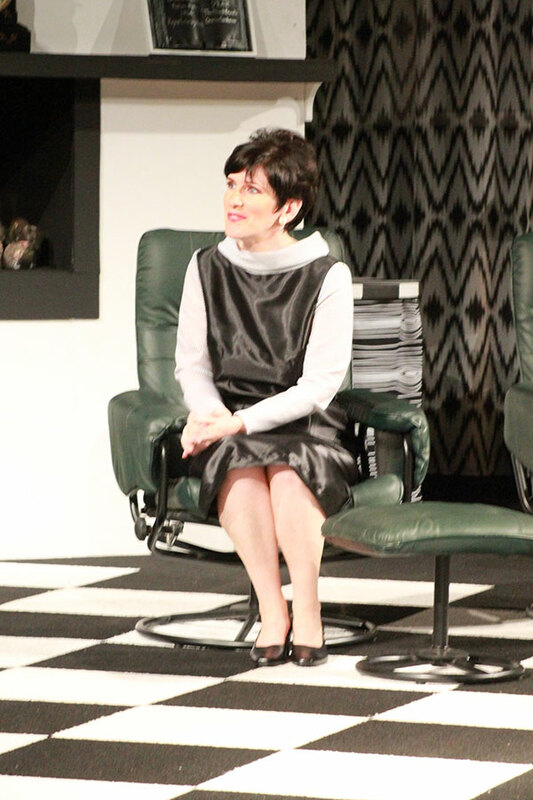 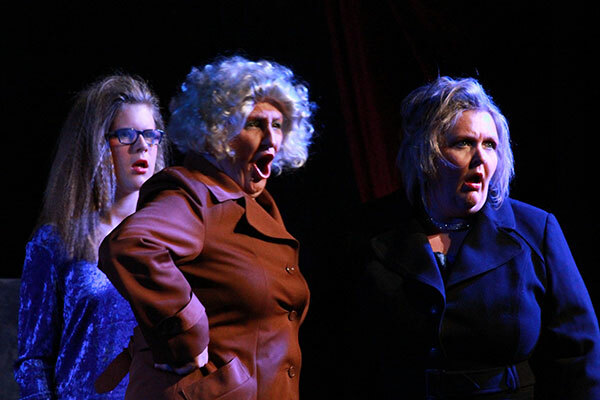 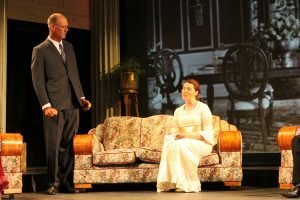 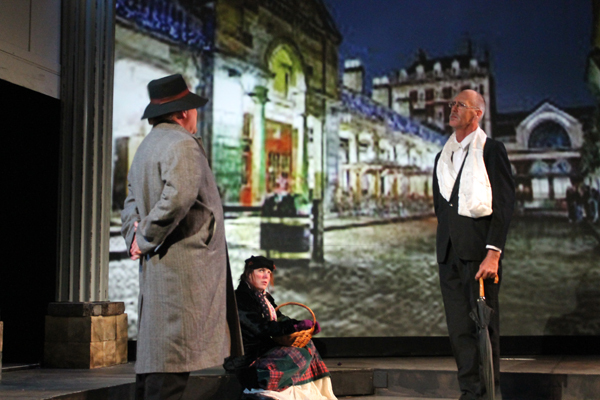 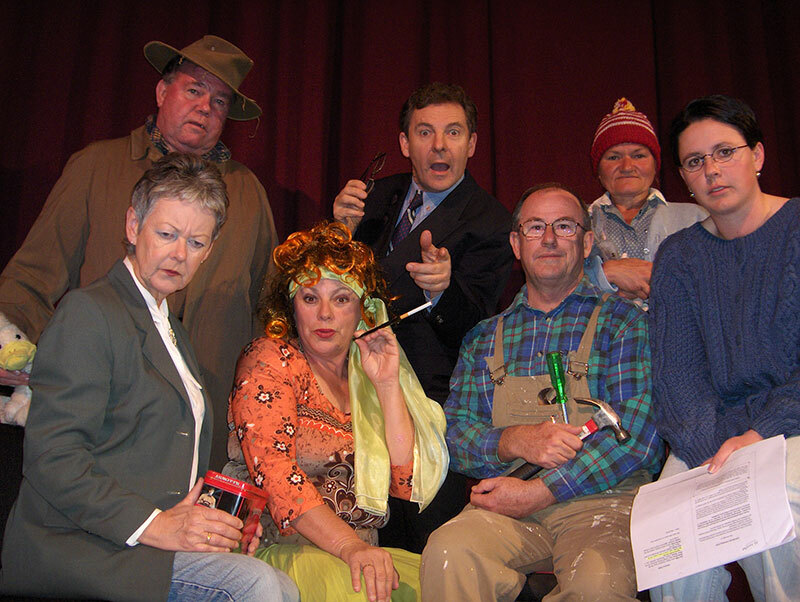 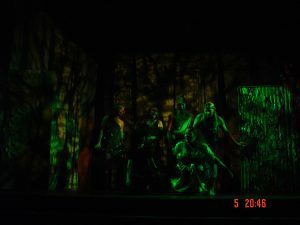 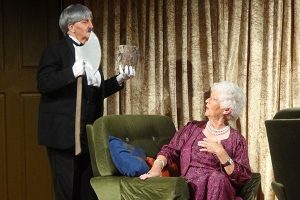 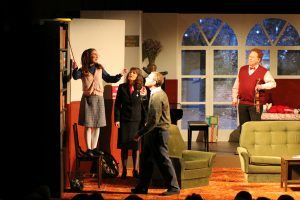 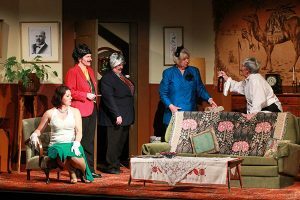 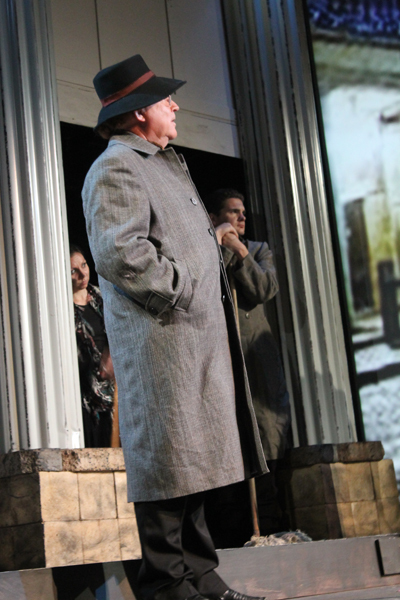 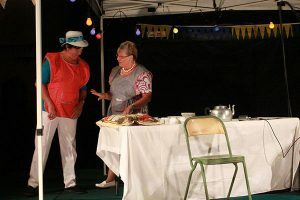 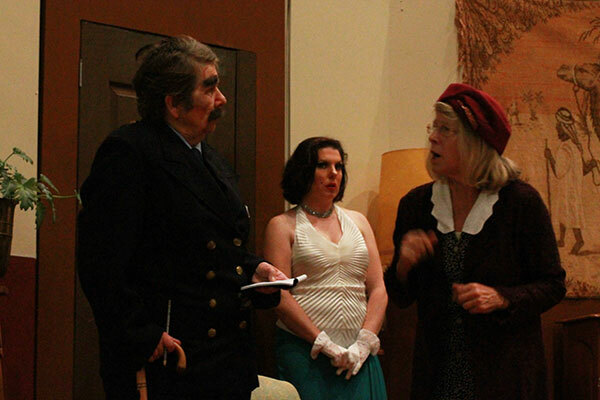 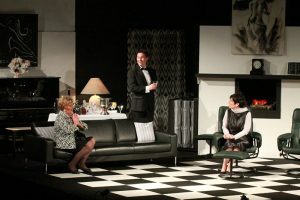 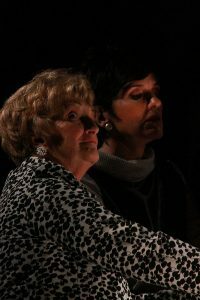 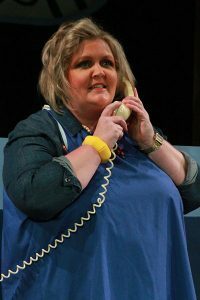 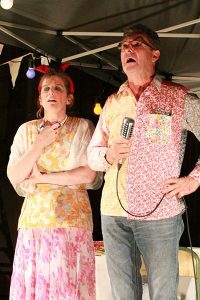 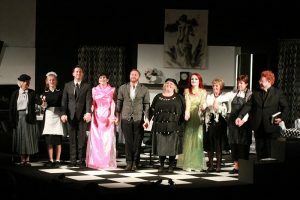 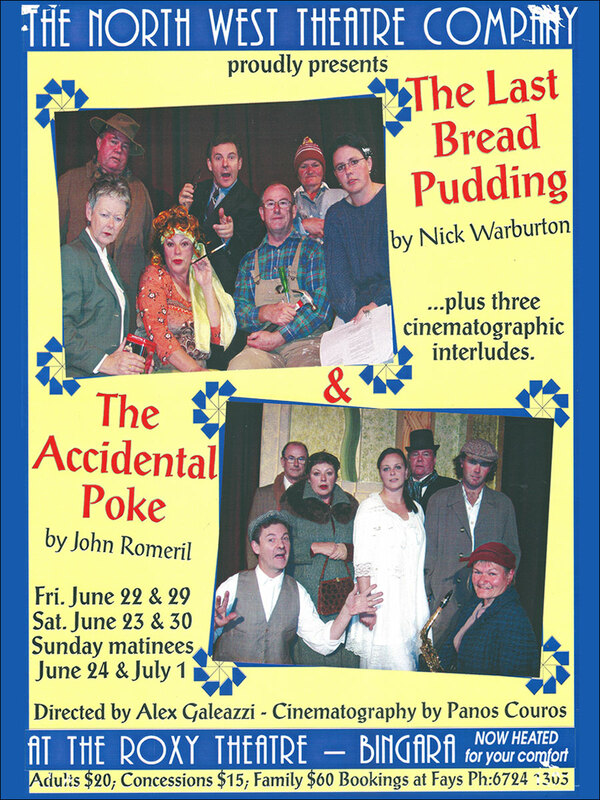 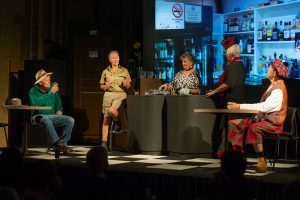 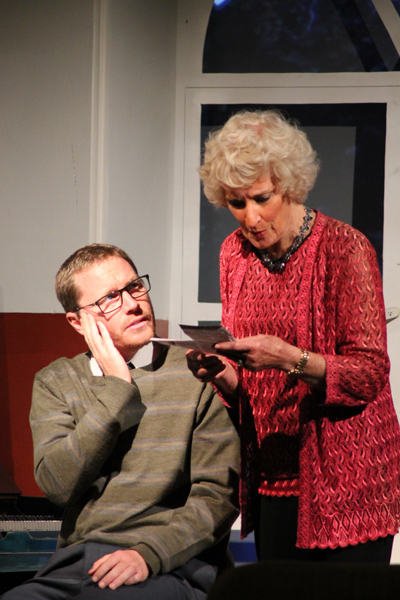 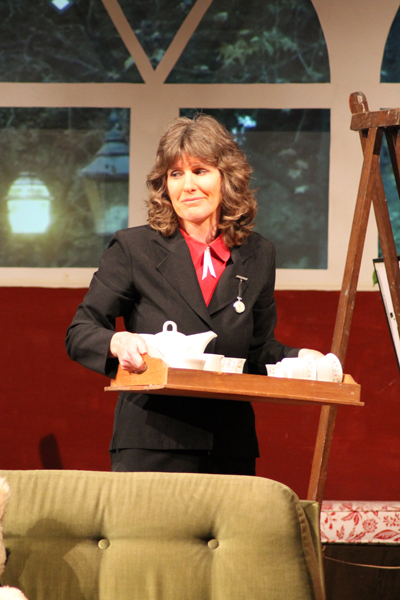 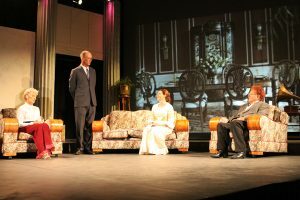 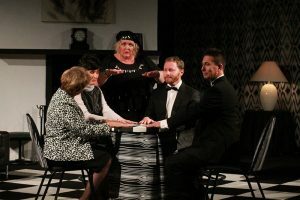 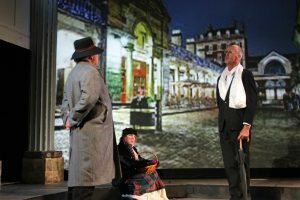 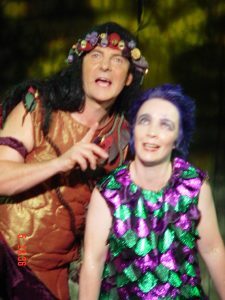 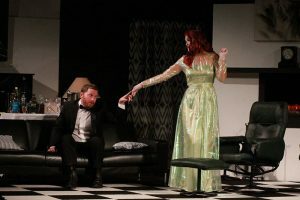 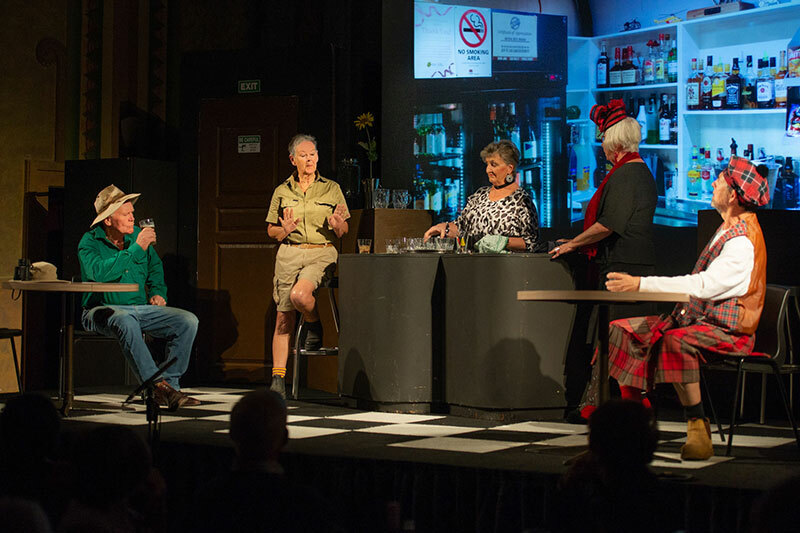 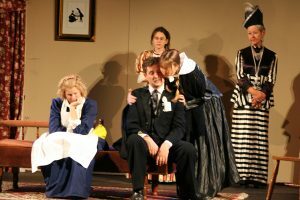 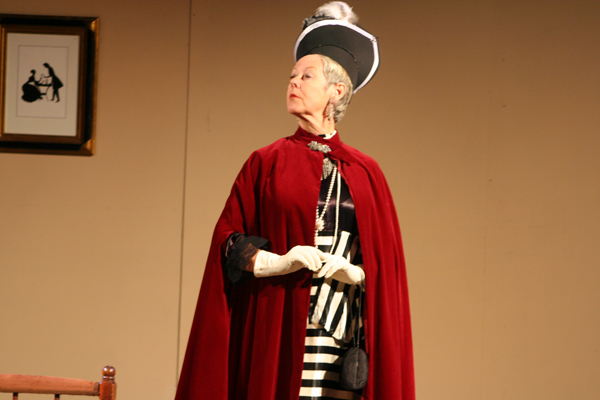 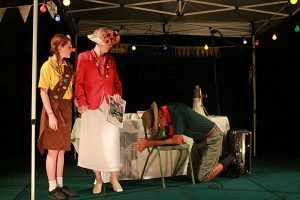 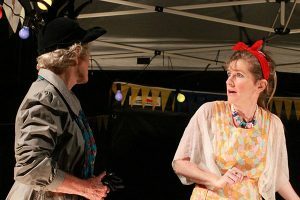 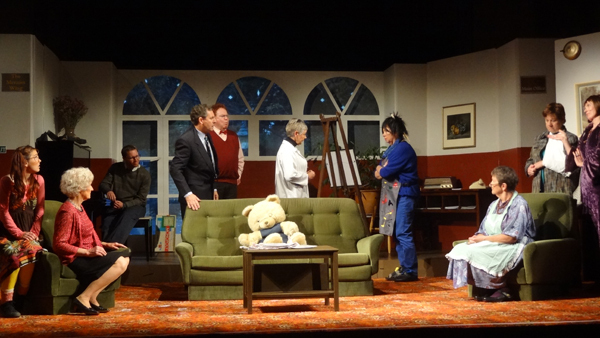 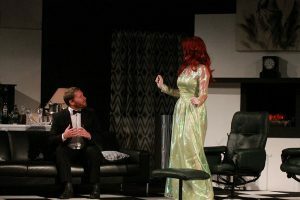 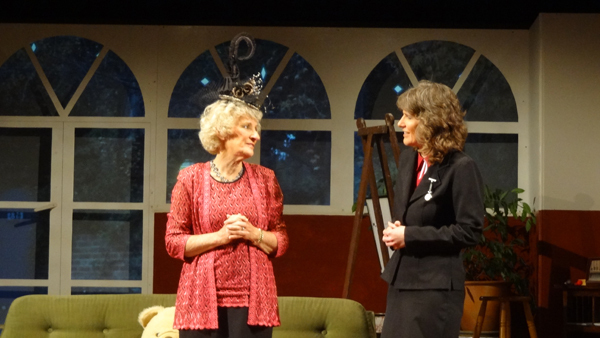 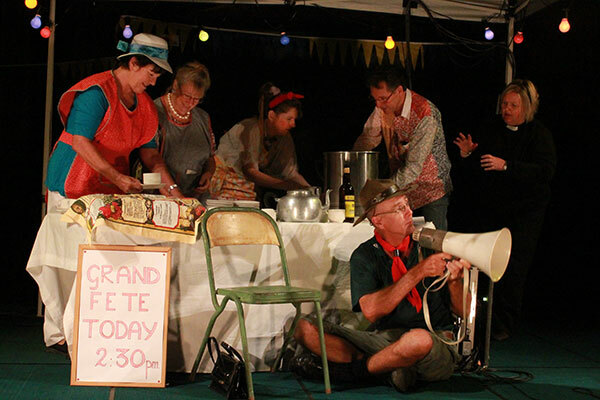 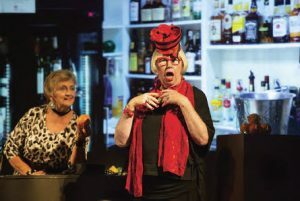 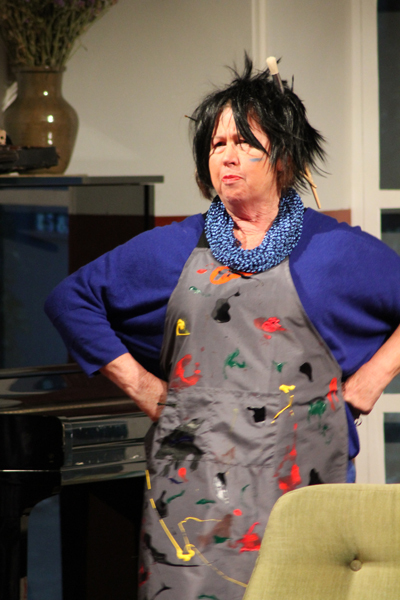 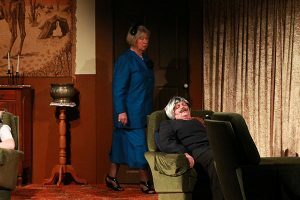 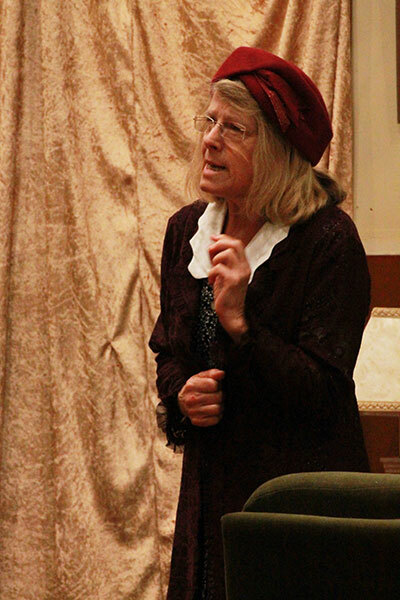 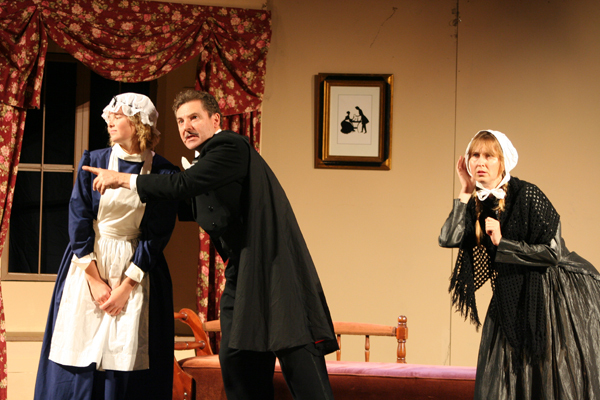 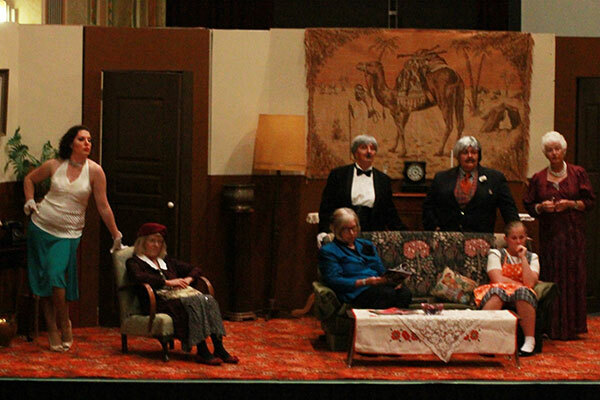 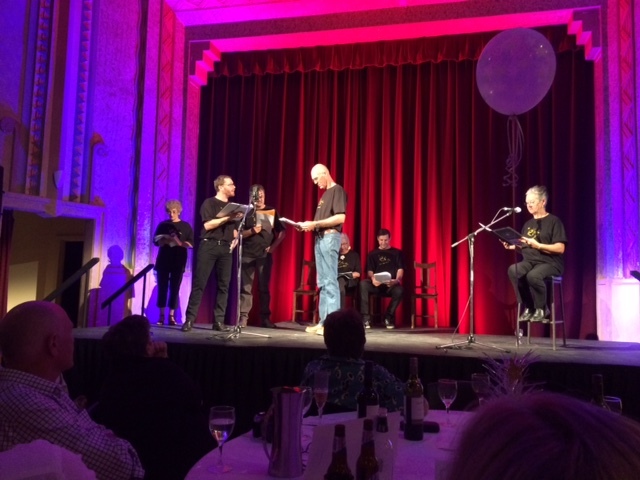 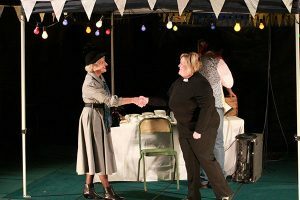 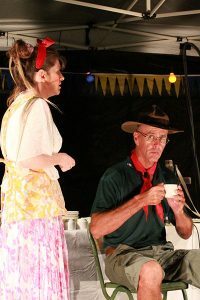 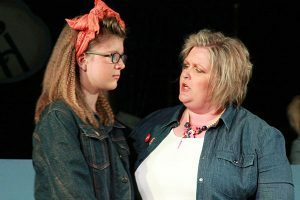 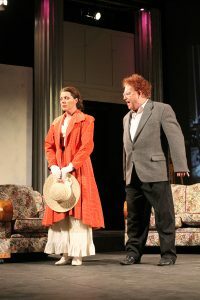 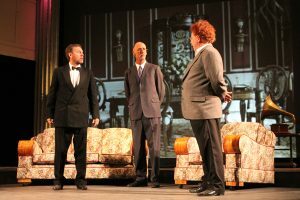 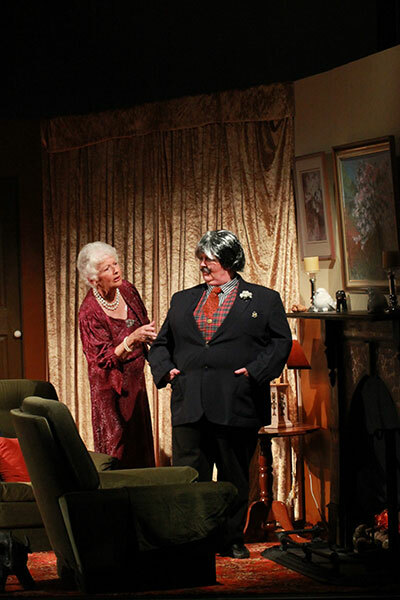 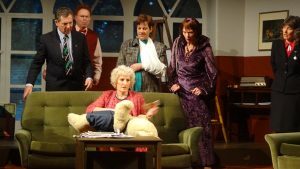 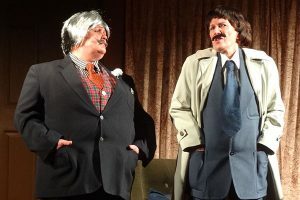 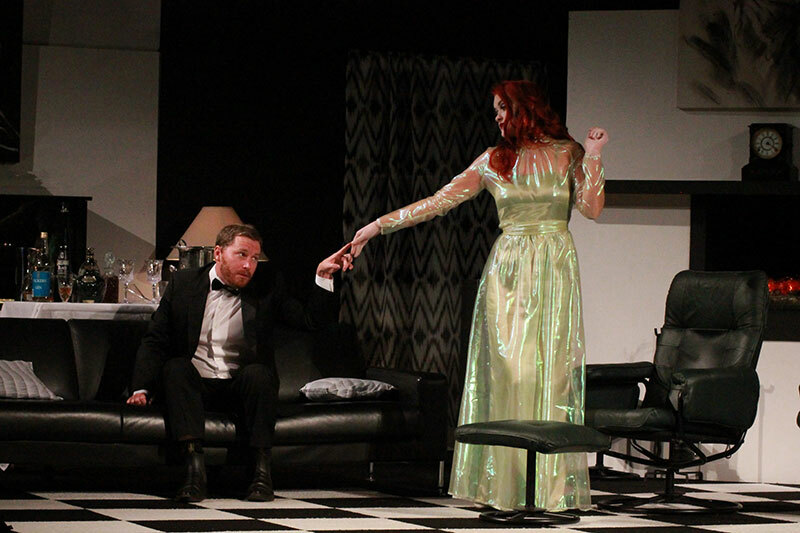 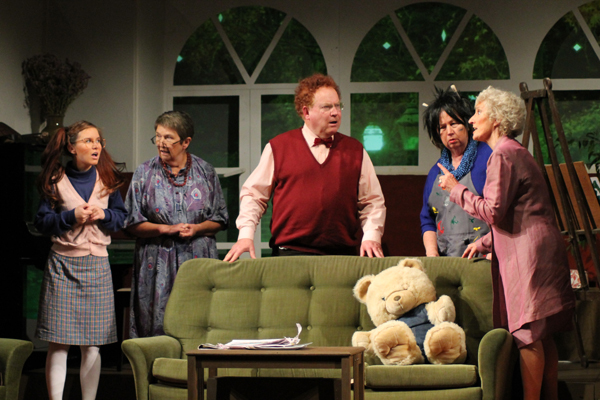 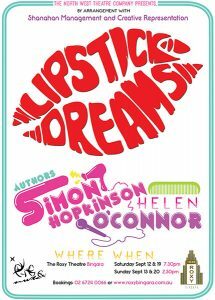 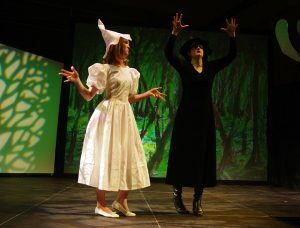 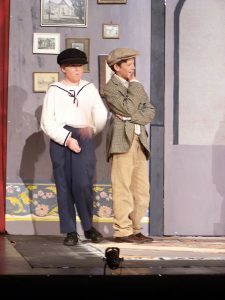 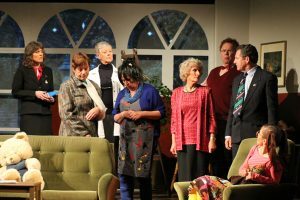 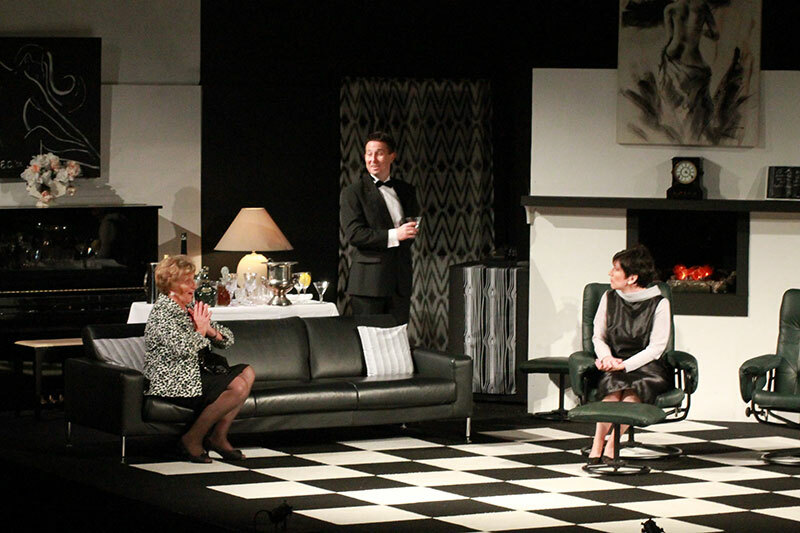 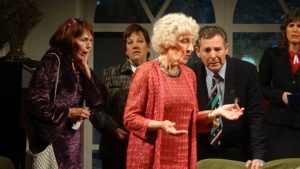 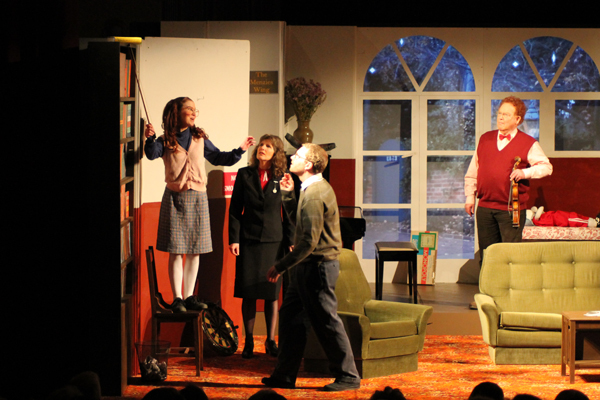 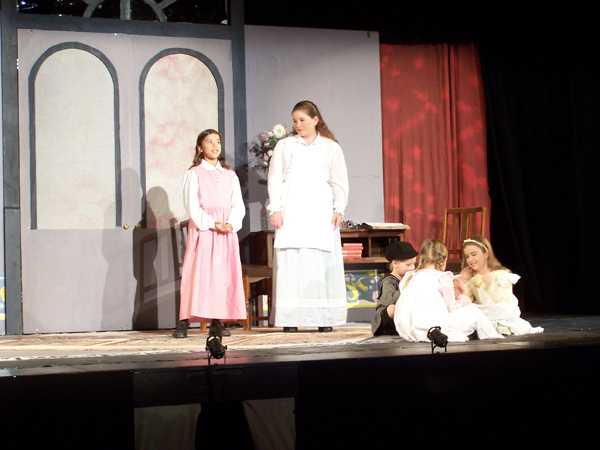 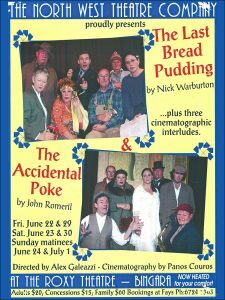 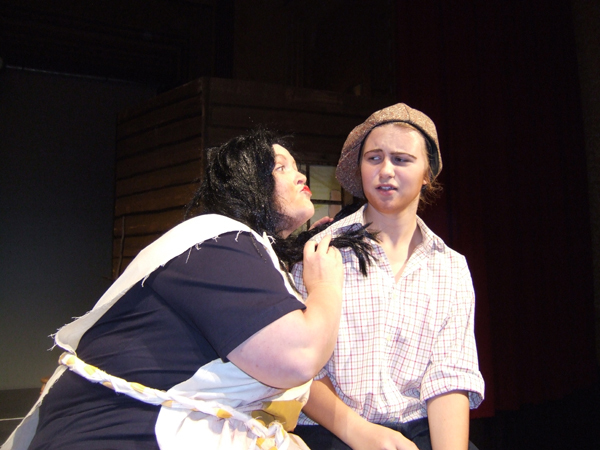 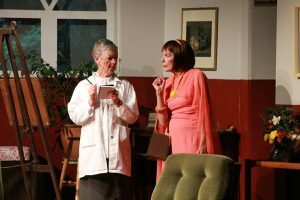 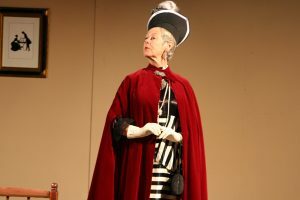 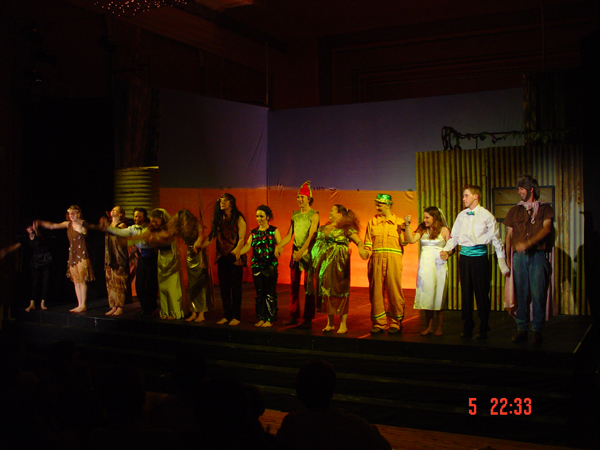 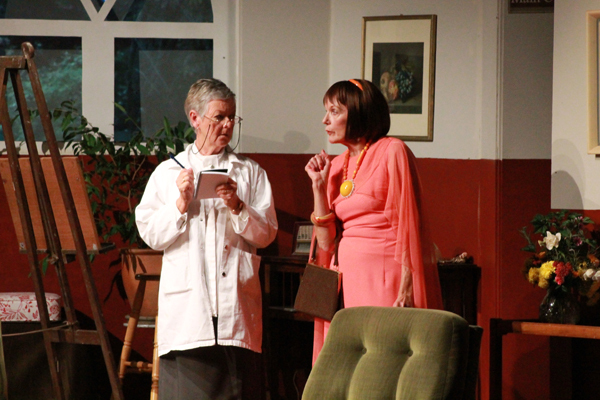 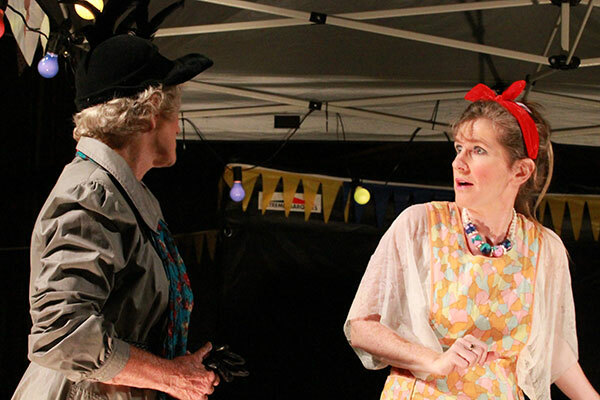 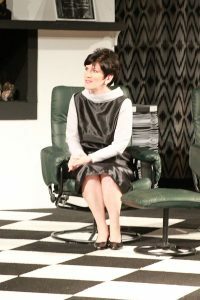 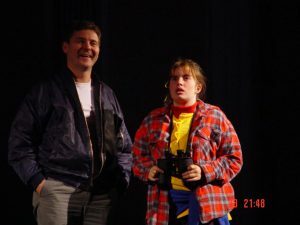 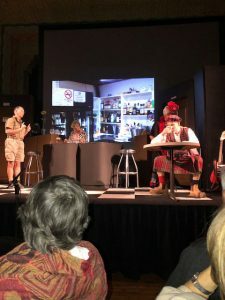 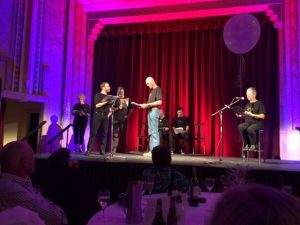 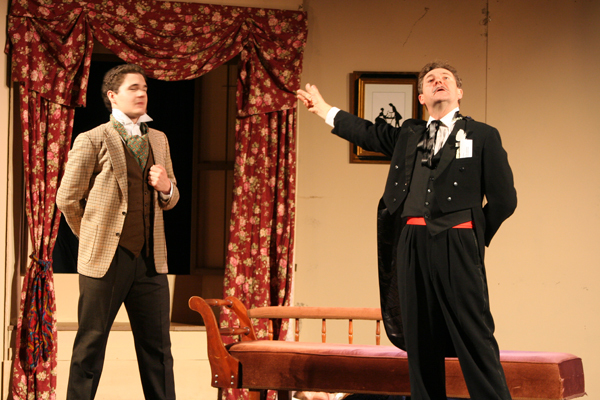 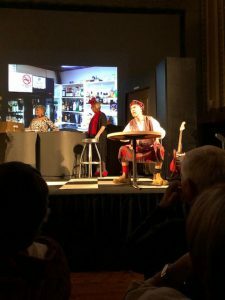 The company’s main point of difference from other amateur dramatic groups is that for most of our productions we employ professional directors. 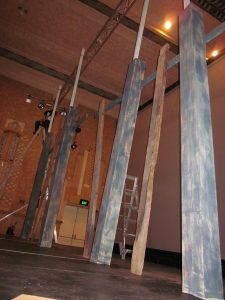 One of our members is also a professional sound engineer who worked for 10 years at the Sydney Opera House. 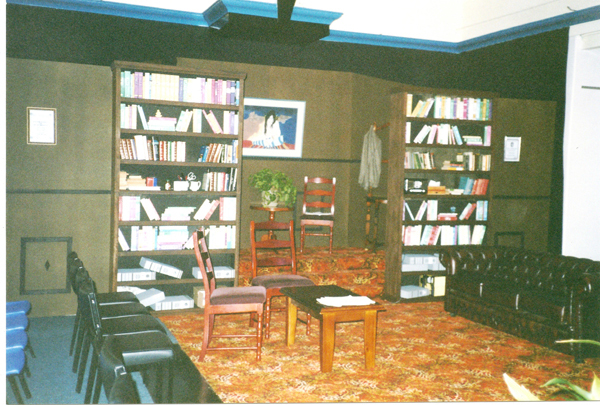 Thus we are able to offer a good standard of experience to our members and players. 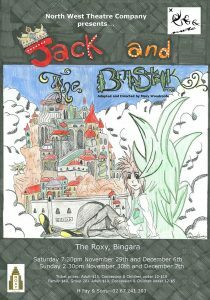 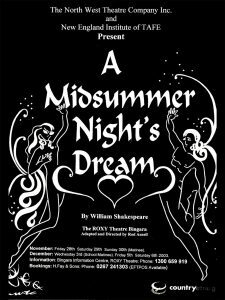 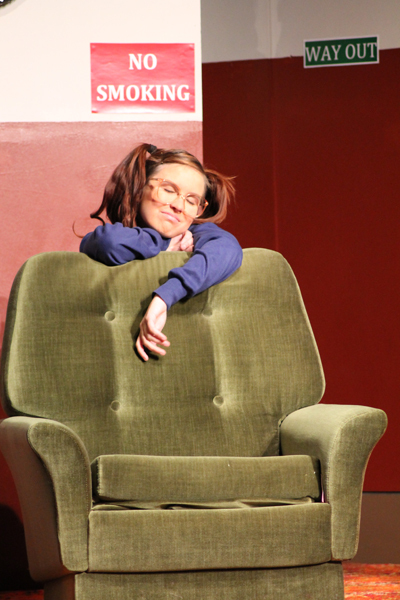 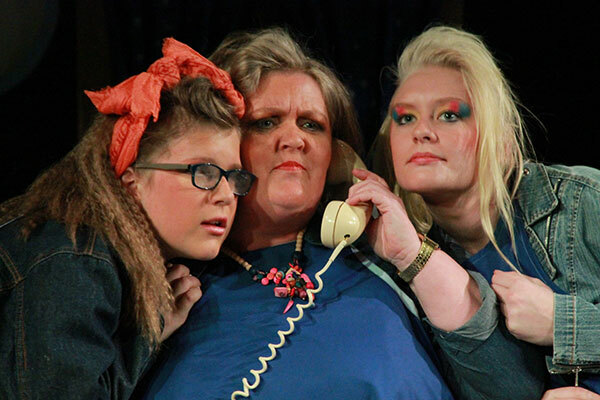 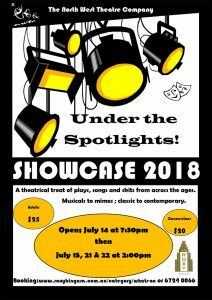 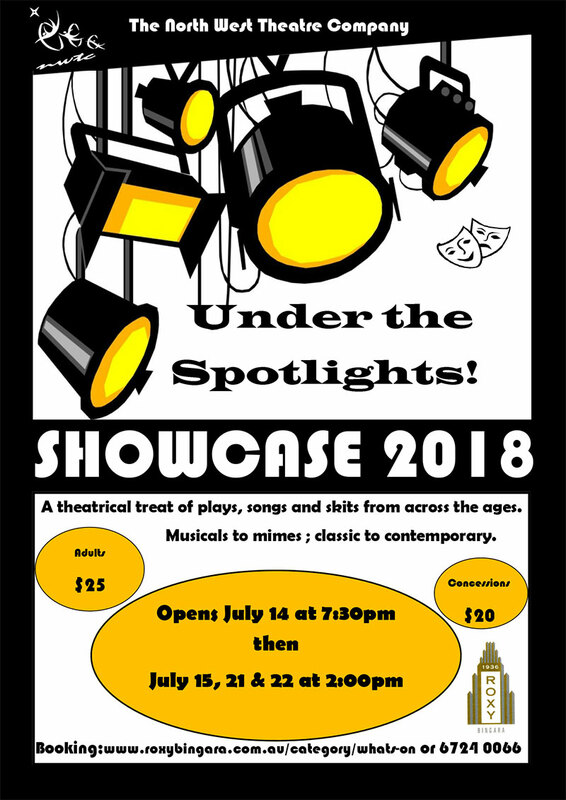 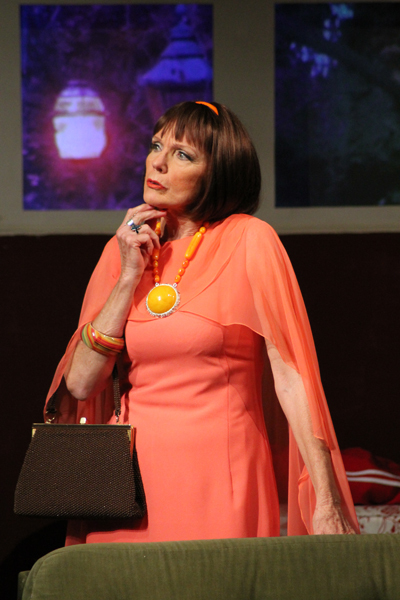 NWTC is thriving due to the high caliber of local performing talent and technical backup people, the use of experienced directors, a strong ethic of commitment to youth and our magnificent Roxy Theatre. 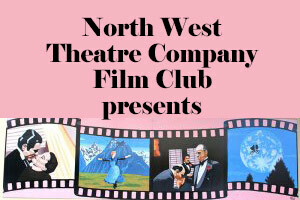 The NWTC Film Club began in 2011 and membership is open to everyone. 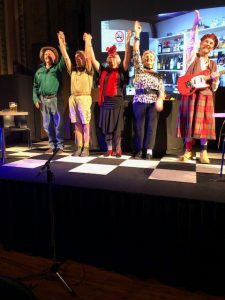 A year’s membership subscription to the Film Club costs only $60 and members see 11 films, each one carefully chosen to screen on the last Sunday of each month between February and December. 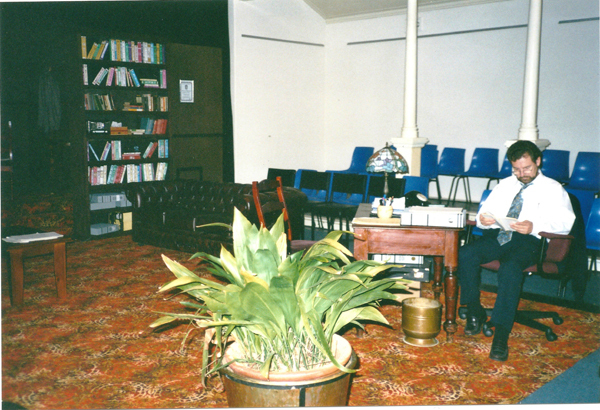 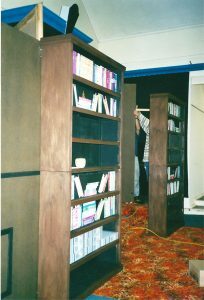 An added benefit is having access to the Film Club library – members can borrow for free any of the club’s film library of nearly 100 DVD’s – many of them having been screened at Film Club over the years. 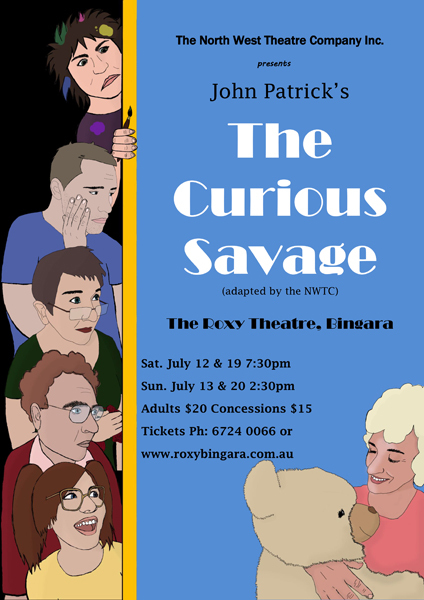 Joining the club is easy – pop into the Bingara Visitor Information Centre and see Jen Mead (6724 0066), or talk to any of the three committee members Ros Moulton (0412 081 642), Robyn Phillips (0409 770 994) or John Wearne (0418 419 684). 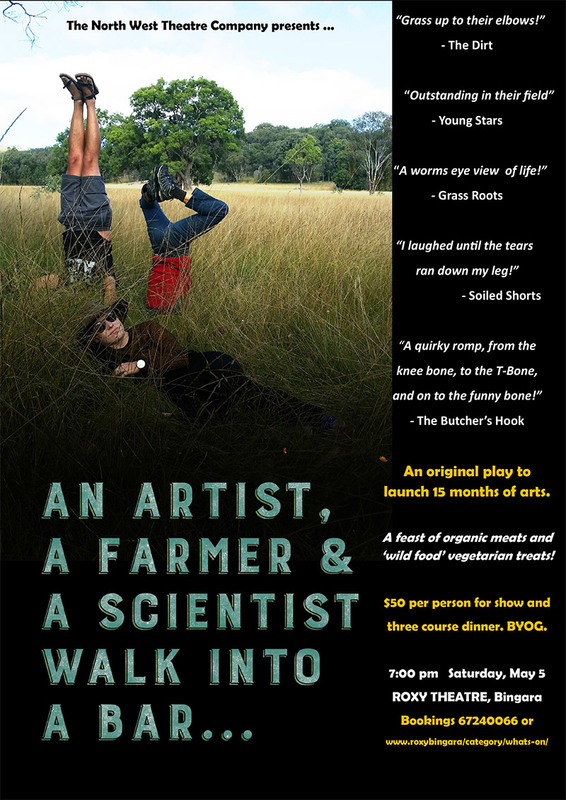 2018 An Artist, a Farmer and a Scientist Walk into a Bar… | Showcase – Under the Spotlights! 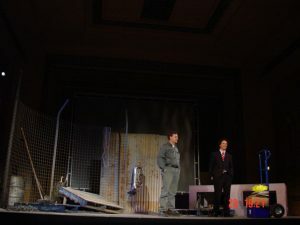 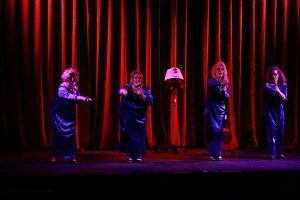 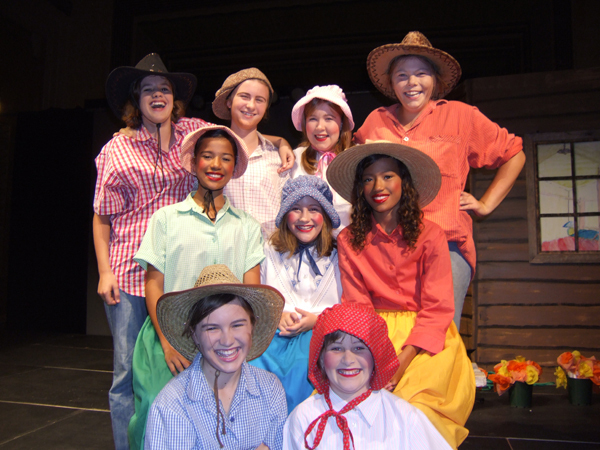 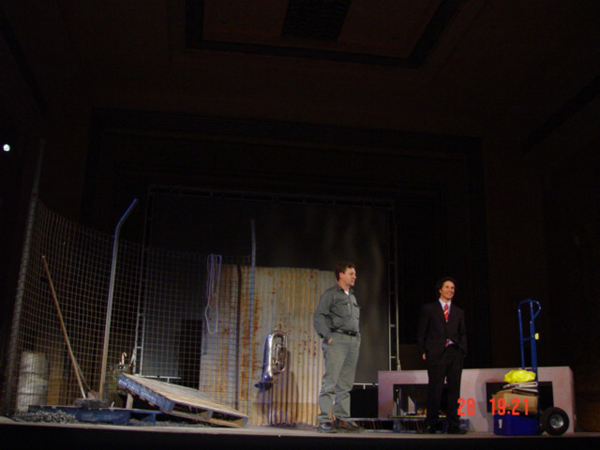 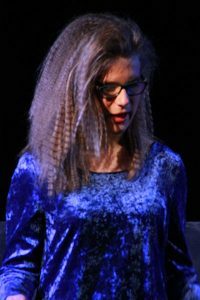 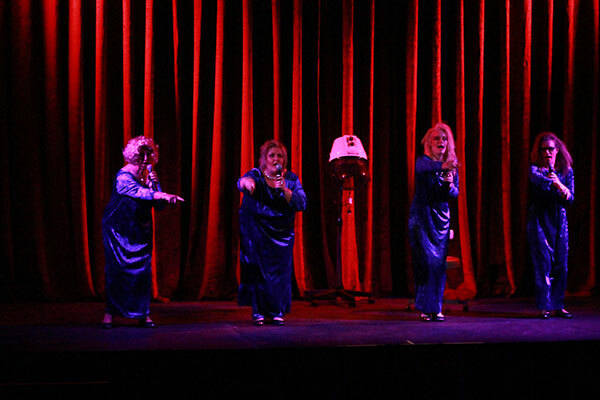 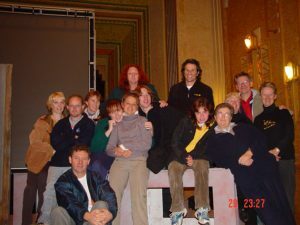 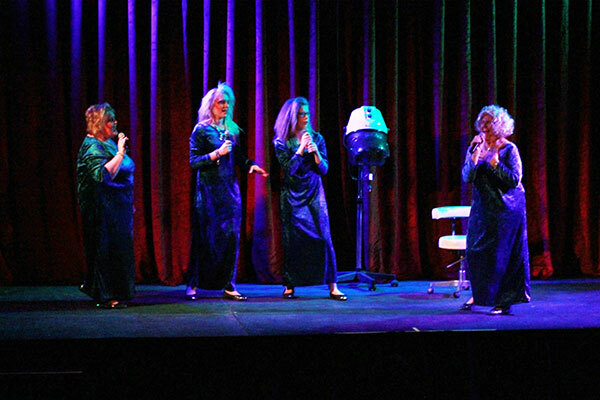 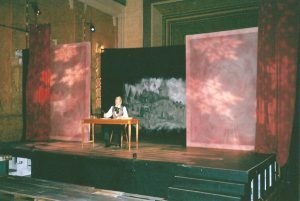 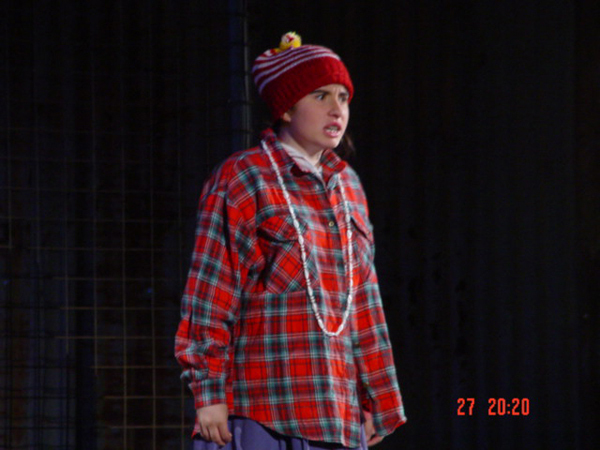 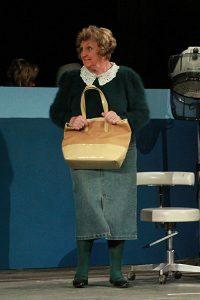 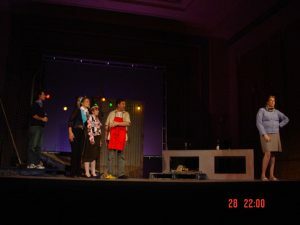 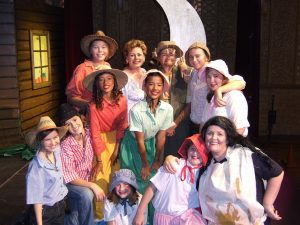 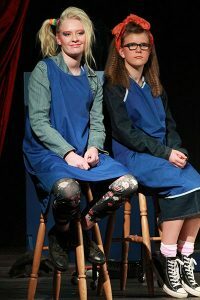 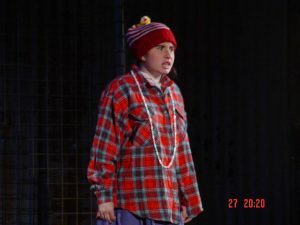 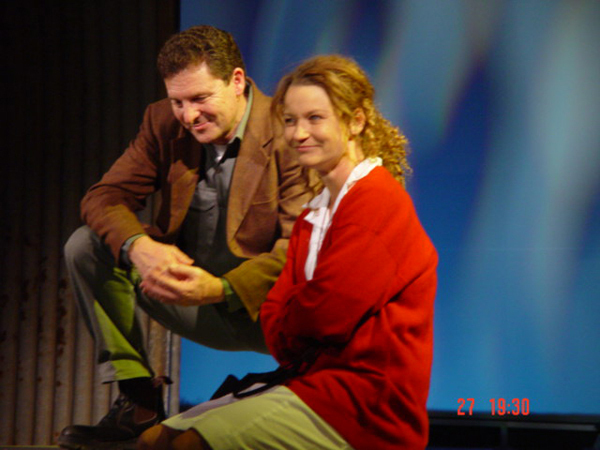 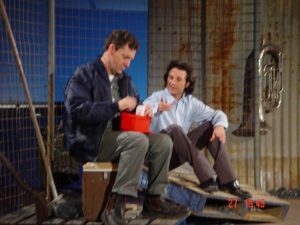 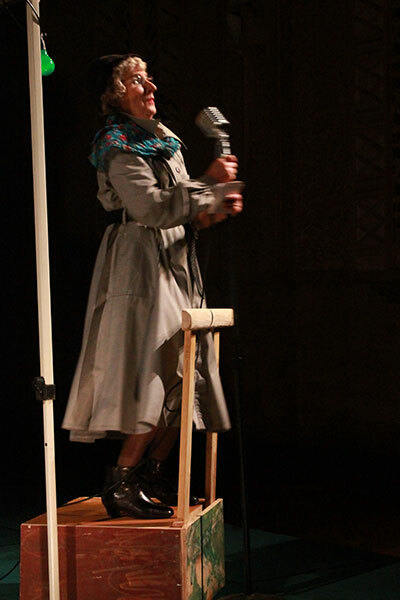 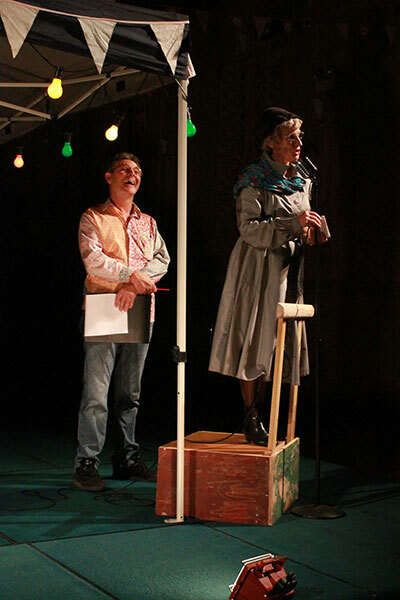 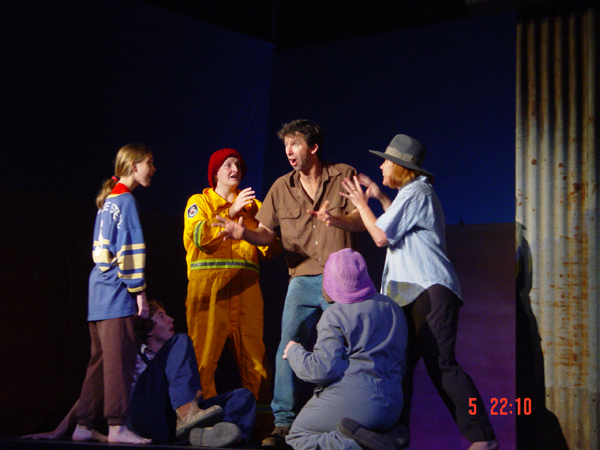 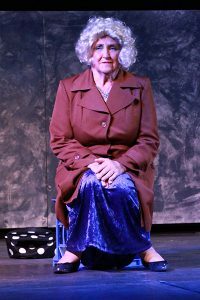 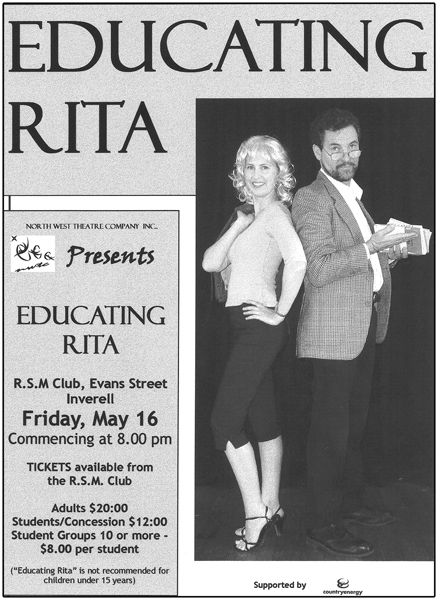 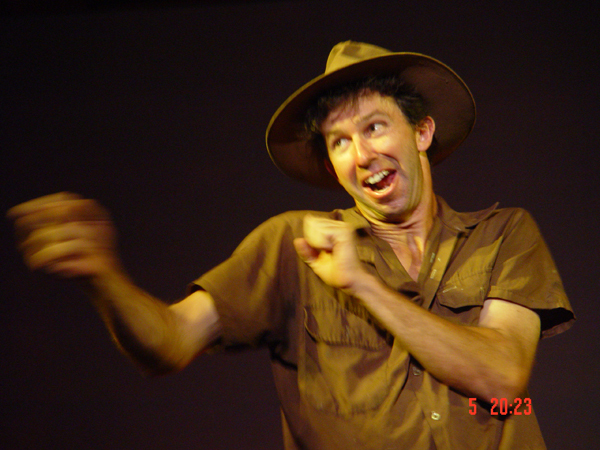 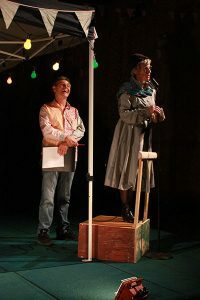 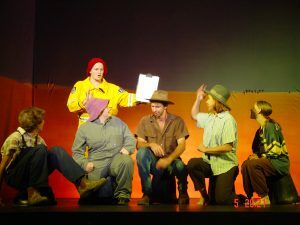 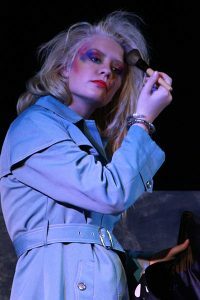 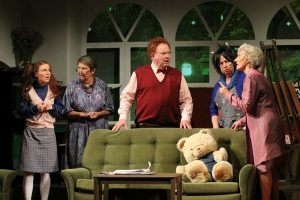 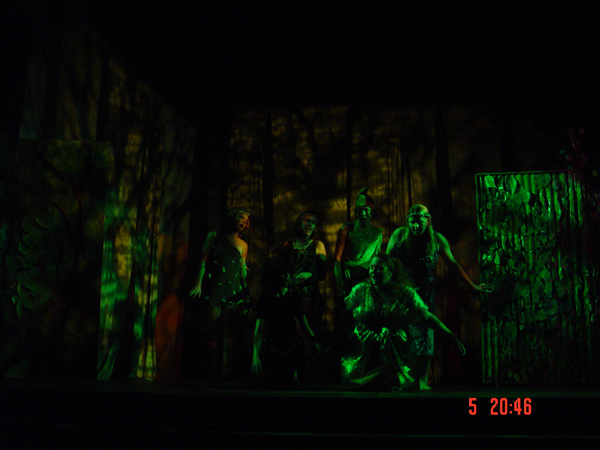 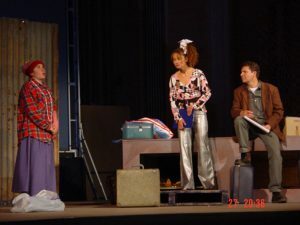 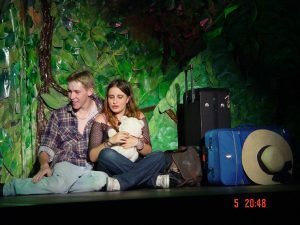 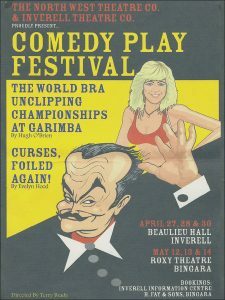 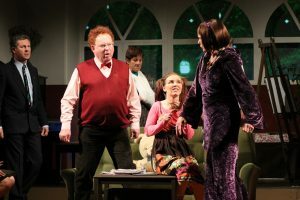 2003 – Educating Rita – 1st Production. 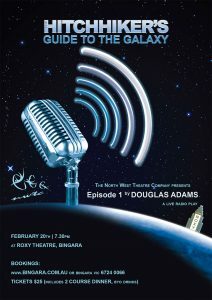 The NWTC is open to all interested people. 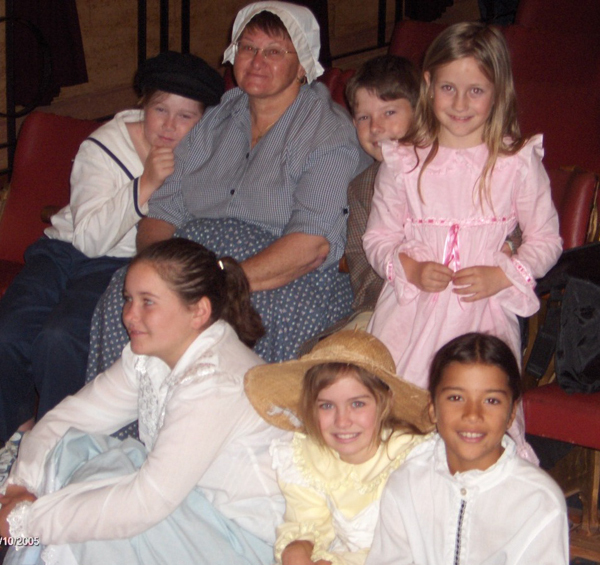 It has a very small membership cost and encourages participation by all ages.